Now I love myself a good tart. Mainly the crust and then the filling is secondary…until this dish. The Summer Vegetable Tart which I stole from Honeycomb, was yummy and freezable! I attempted to serve this to my husband for dinner, which was not a success because it falls into the category of breakfast for dinner and he does not go for that. There was some confusion about tart vs. torte. Him thinking he was going to get dessert for dinner. So I got the whole tart to myself. I had, it for dinner the evening I made it and breakfast for the next few mornings. Slight overkill, but when something is good, I tend to go through it quickly. I served it with a light salad of cherry tomatoes, basil, green beans and chickpeas with a splash of balsamic vinegar. 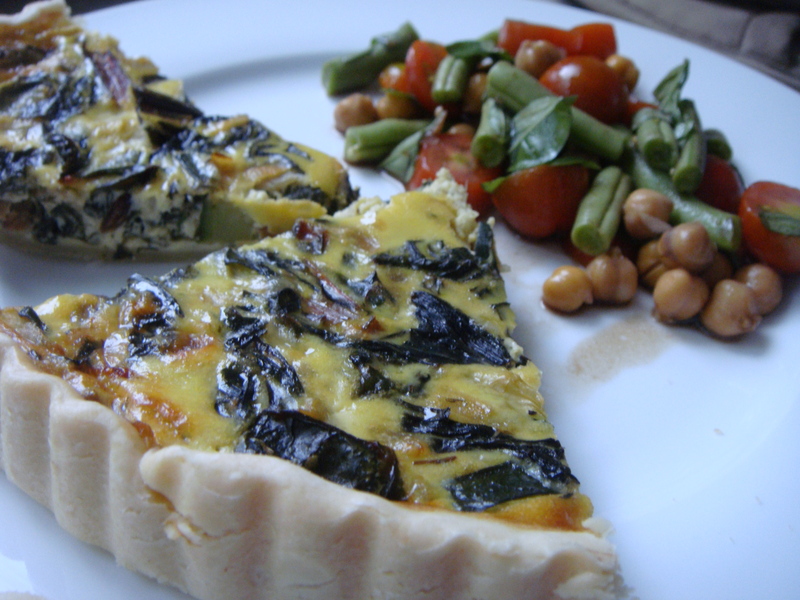 While the tart was very good, I think there are many variations of the recipe that you could try. This has swiss chard and cheddar, but I think spinach and feta might be good as well. Here is a pic of my creation. Pretty close to the pic from the original recipe above. preheat the oven to 375 degrees. Roll out your puff pastry on a lightly floured surface until 2 inches larger in diameter than your tart pan on all sides. Place the pastry over the pan and press into the pan along the bottom and up the sides. Cut off the excess and discard or reserve for another use. Prick the dough on the bottom of the pan with a fork and place in the refrigerator until ready to use. In a large skillet, heat the olive oil over medium heat. Separate the Swiss chard leaves and stems. Finely chop the stems and give the leaves a rough chop. Add the chard stems and the onion to the skillet. Season with salt and cook, stirring occasionally, for 5 minutes. Add the zucchini and cook another 10 minutes until the zucchini is soft. Add the rosemary and thyme, stir, and add in the chard leaves. Continue to cook and stir until the leaves are wilted and tender, about 3 more minutes. Remove form heat and set aside. Crack the eggs into a mixing bowl and whisk well. Add the cheese, yogurt, and milk (if you don’t have yogurt on hand just add ½ cup milk) and whisk to combine. Add the cooked vegetables to the egg mixture, season with salt and pepper, and stir well. Pour the filling into the chilled puff pastry. Spread the filling even with the spatula and bake for 45 to 50 minutes until firm and golden. 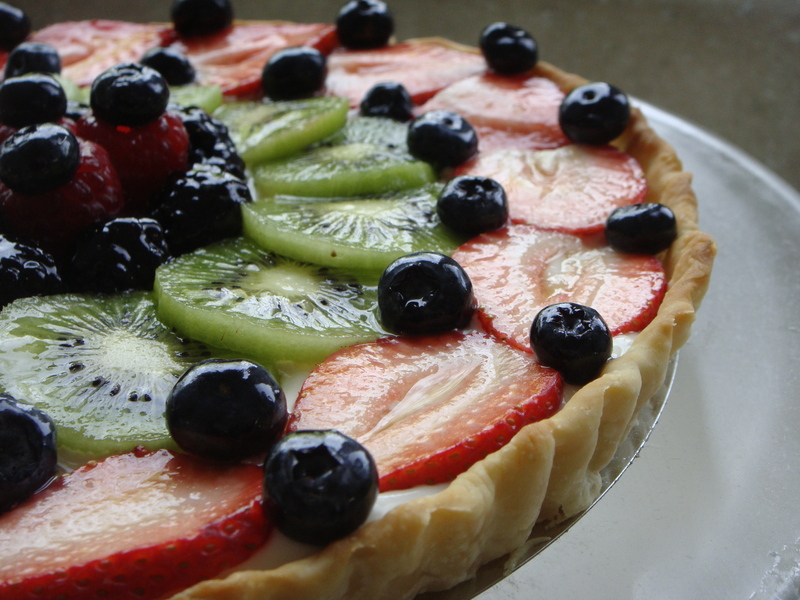 Allow the tart to cool for at least 15-20 minutes before eating. Can also be served at room temperature. Freezing: You can freeze this dish. I cut up slices and froze in freezer bags. Just take them out of the freezer and right into the toaster oven or oven at 250 for 15 minutes. I poke the center to see if it is cooked. 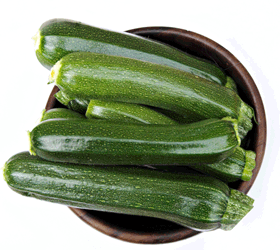 The Zucchinis are coming, the Zucchinis are coming…. Ah yes, it is that time of year when the zucchini and squash come in. Anyone that has ever grown (or watched their significant other grow them) knows they tend to come in within a few weeks and generally there are more than you can imagine to use in dishes. This year, I prepared by collecting some recipes ahead of time so they would not go to waste. Right friends, you can’t freeze zucchini. My solution to everything does not apply. As we had a small amount trickle in, I made a variety of pasta dishes. I find a lot of them consist of squash/zucchini, feta, kalamata olives, some sort of pasta. 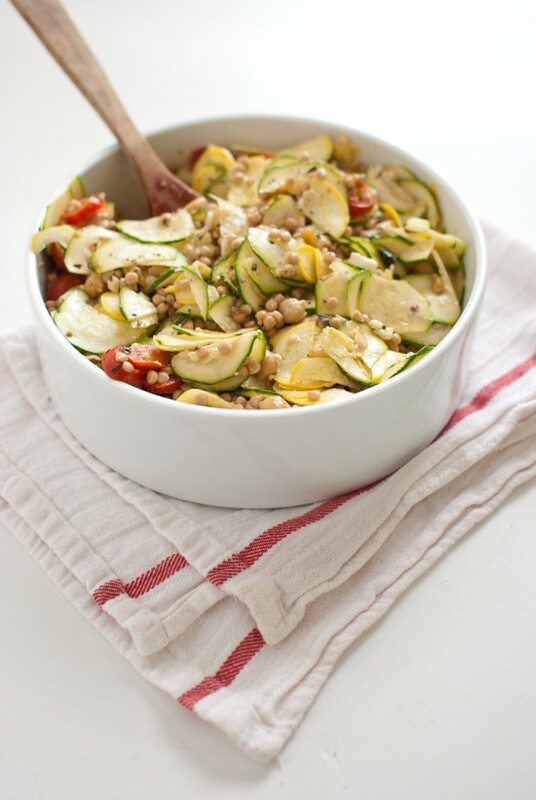 I stole this Mediterranean Pasta Salad recipe from Cookie + Kate via Pinterest. It does not actually have pasta, but Israeli Couscous, which because of this recipe is my new favorite pasta substitute. It doesn’t taste like couscous at all, but is a wheat grain. I like the texture, it is sort of like a Pastini or Acini di Pepe. I only use a little bit of olive oil as I don’t like it soupy. I make a huge batch and then take leftovers to lunch. Items used from the garden: cherry tomatoes, squash, zucchini, and basil. Stay tuned for more Zucchini happenings. 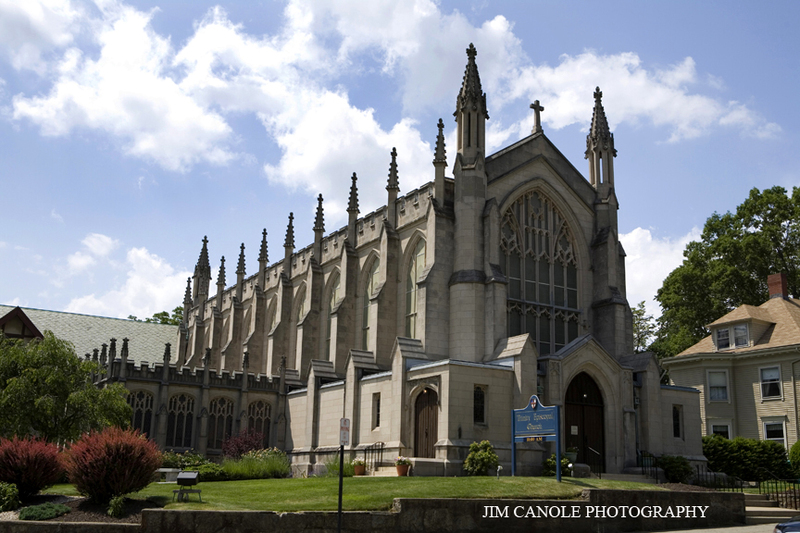 Laura and Don had their ceremony at the beautiful Trinity Episcopal Church in Newton Centre, MA. 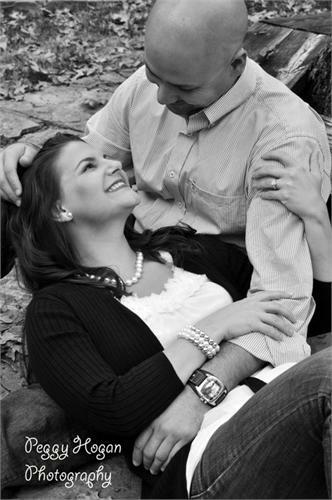 For details about their proposal and story visit their website. 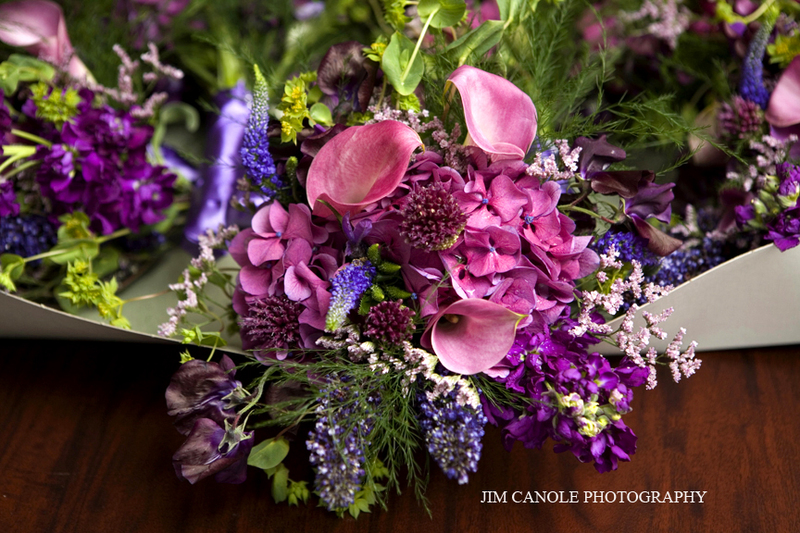 A special thanks to Jim Canole of Jim Canole Photography for use of the photos. Engagement photo on the left by Peggy Hogan of Peggy Hogan Photography. 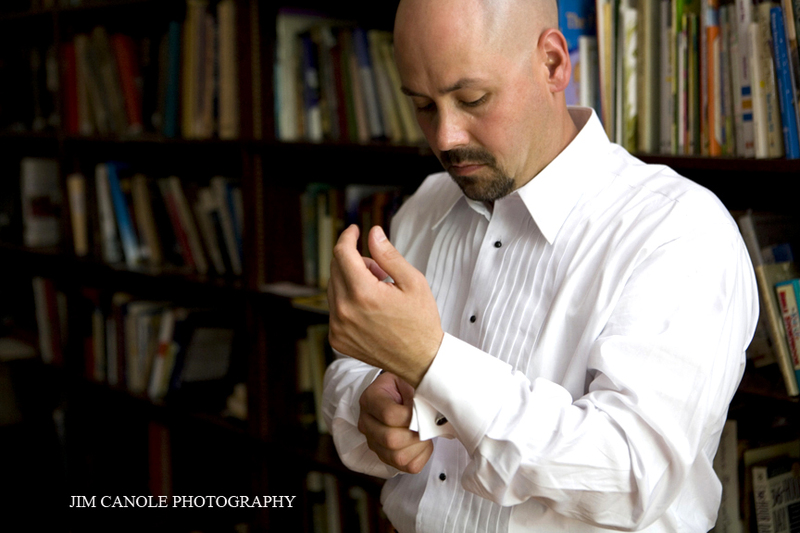 Laura and Don got ready for the day at the church which provided some lovely backdrops for pictures. Some pics of Don on the big day. 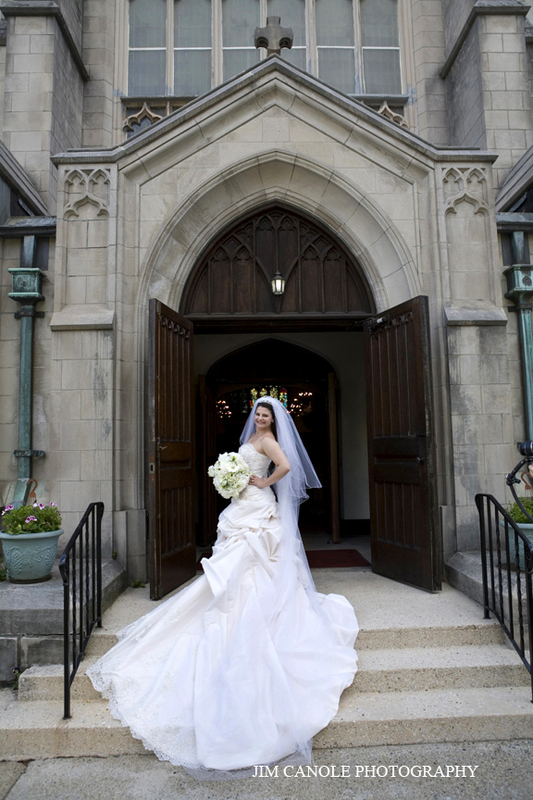 Laura’s dress was SaBelle by Maggie Sottero. 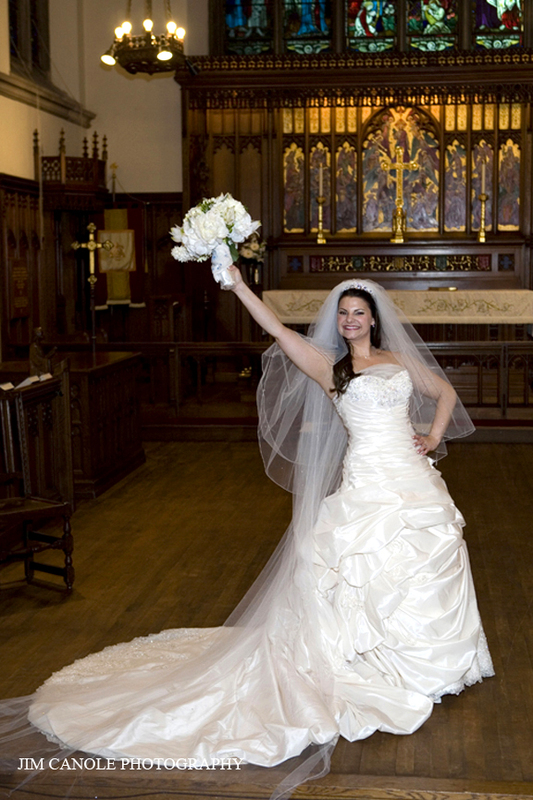 She purchased the dress from La Reine Bridal Boutique in Waltham, MA. I love this picture. It is so regal with the velvet couch. Programs and Logo design by Shana Popyk. 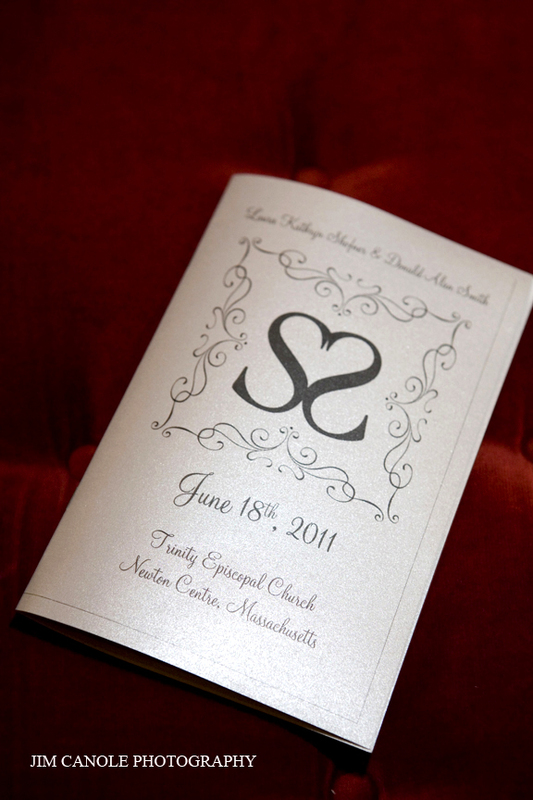 Since both of the couple’s last names began with an “S”, they incorporated that into a crest that was featured throughout the day. 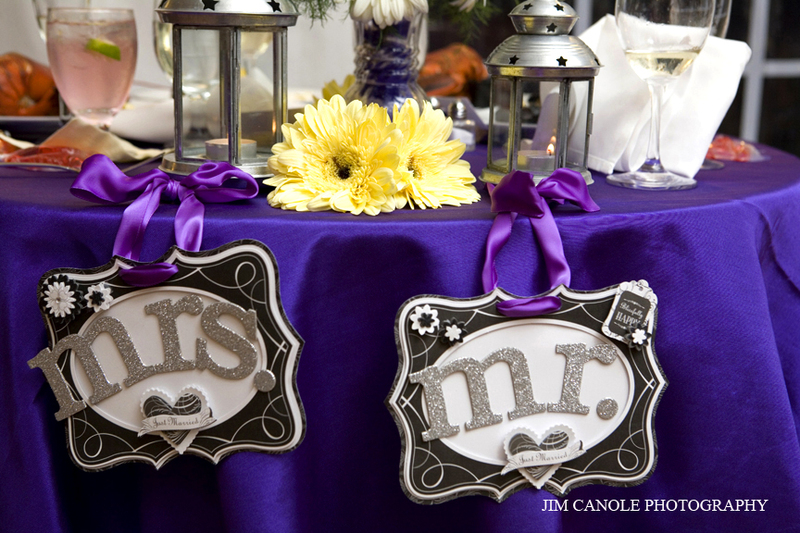 The formal invitations were done by Elaine Baker from Paper Potpourri. I wish I had a better image to show. Elaine was so great to work with. Her experience and etiquette knowledge are stellar. The inside of the church was very ornate. Here is the couple saying their vows. 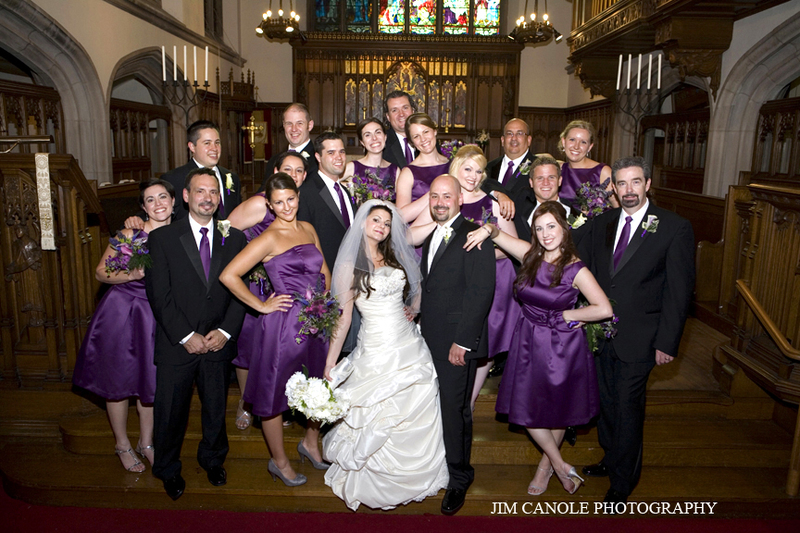 The bridesmaid dresses were from Dessy Group – Style 2780 in African Violet. 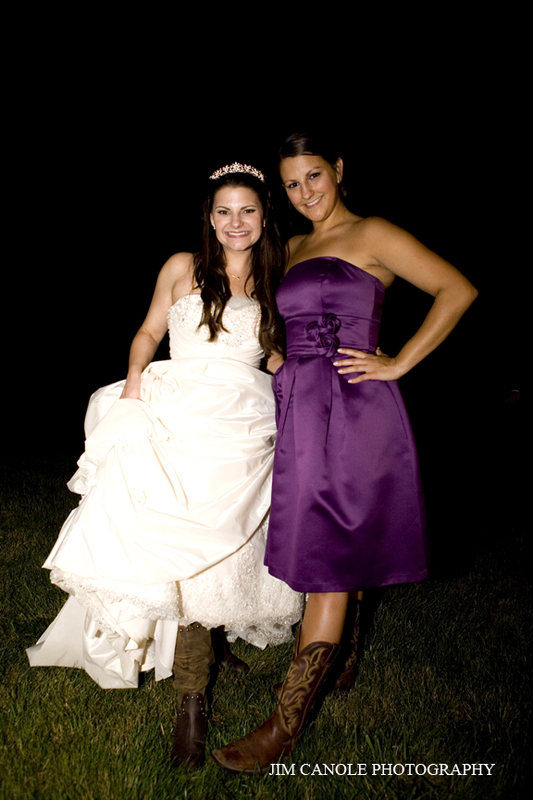 I think if Laura could, she would probably have had her wedding dress be purple. She loves the color that much. 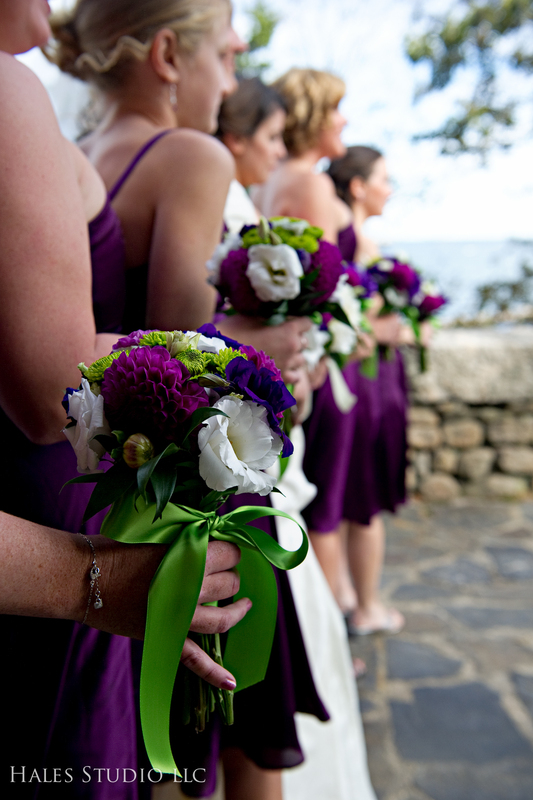 The bridesmaids had a mixture of blues, and purples for flowers. 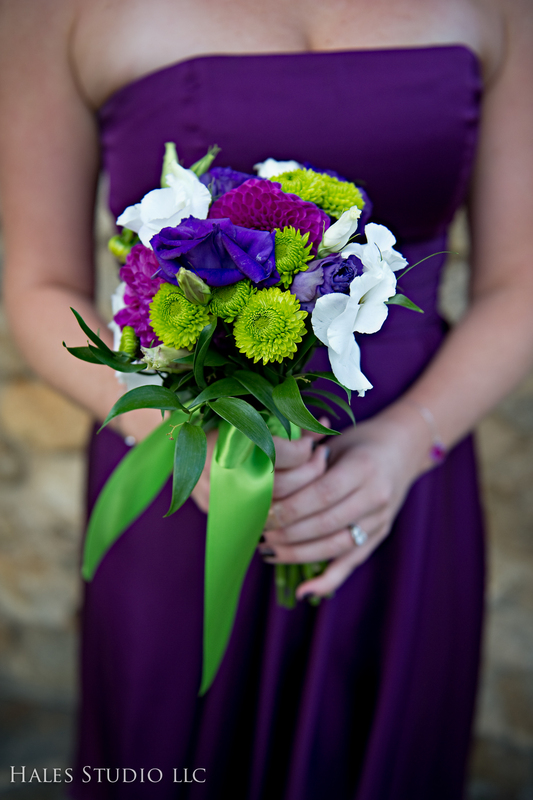 Flowers by Sakina of Newton Floral Oasis. Sakina and her husband were a huge help during the set up for the reception. 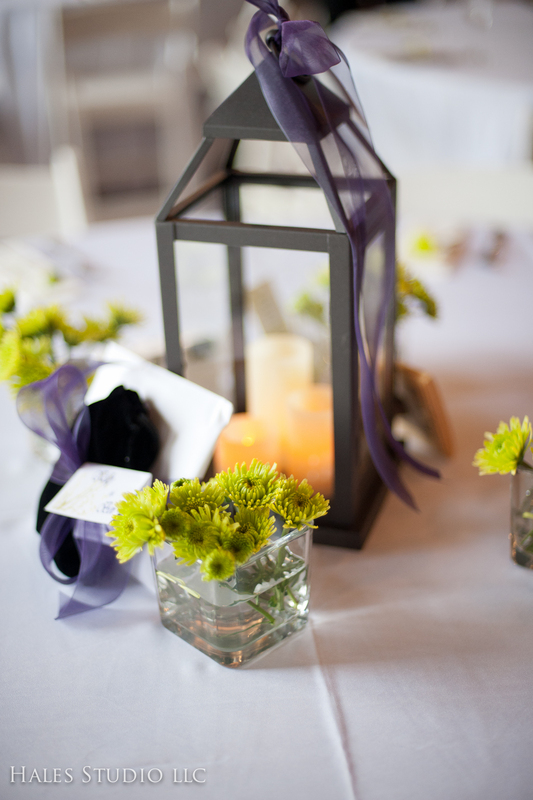 At one point, we needed extra tealights for some lanterns that Laura had us using for centerpieces. Sakina’s husband made a run to CVS to grab some quickly. Some pics of Laura at the church. Laura and Don exiting the church. Off to the reception. I love the bunching of the dress here. 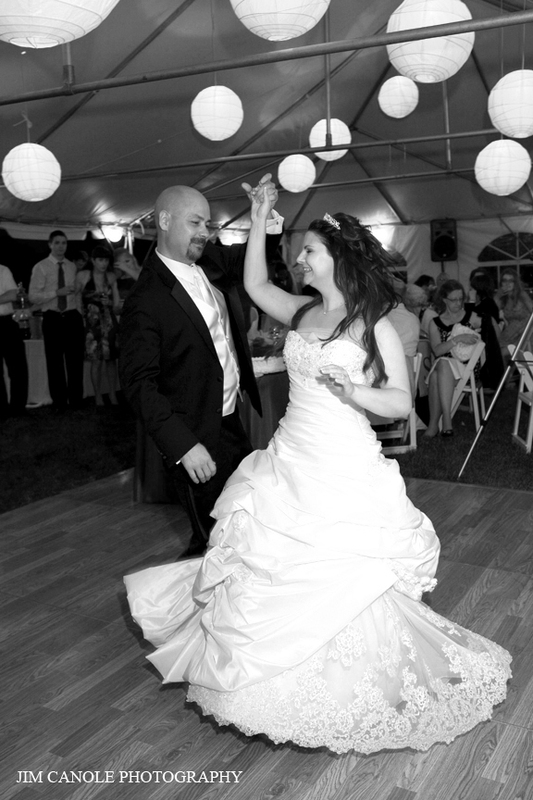 The couple had a tented reception at their friend’s house in North Andover, MA. The couple was so gracious and their children helped quite a bit in setting up the table centerpieces and other odds and ends. Since this was at a private residence, everything needed to be rented. 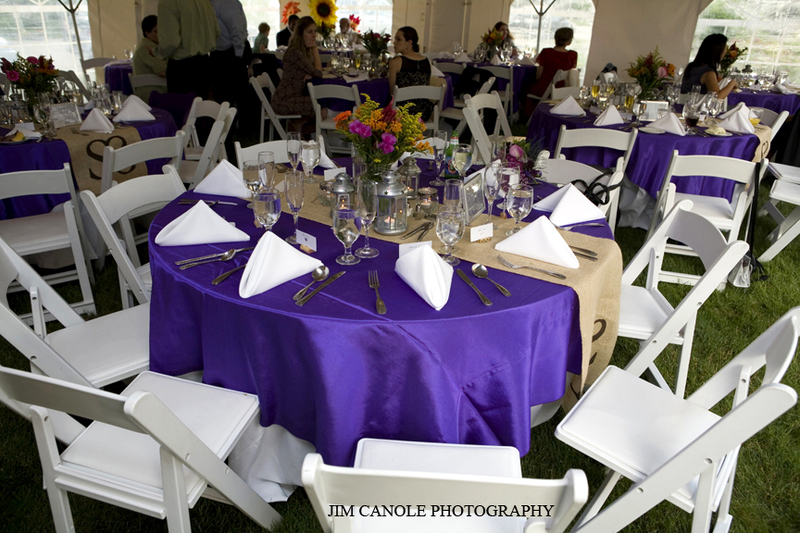 Tables, chairs, linens, tent. They rented items through Events for Rent. To save on costs, we only had them deliver the items and we set them up. 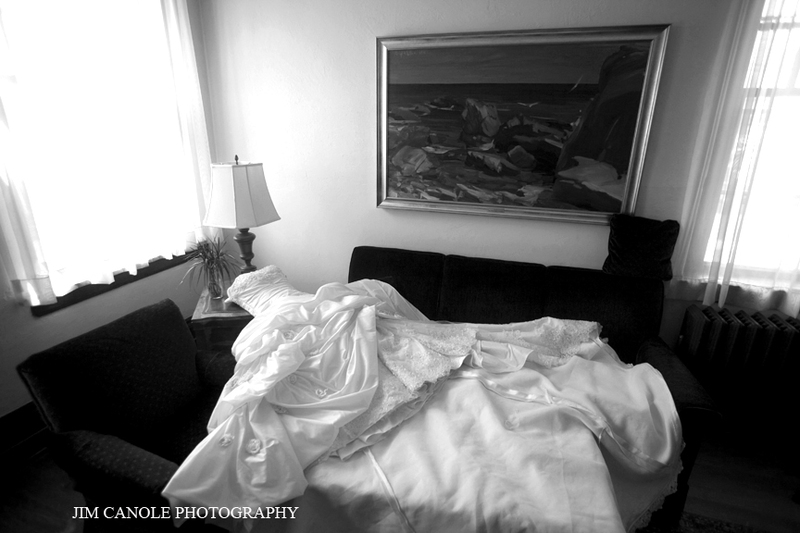 While this is more labor intensive (perk of having a wedding planner or someone else that can do it), it can save you quite a bit. 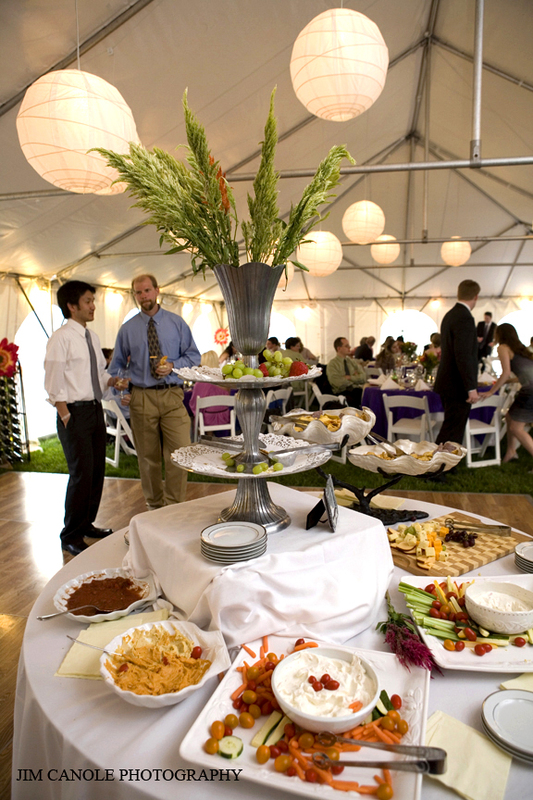 Some catering companies will assist or even take care of all the set up of rentals. So make sure to ask because you could be paying two sets of people to do the same job. 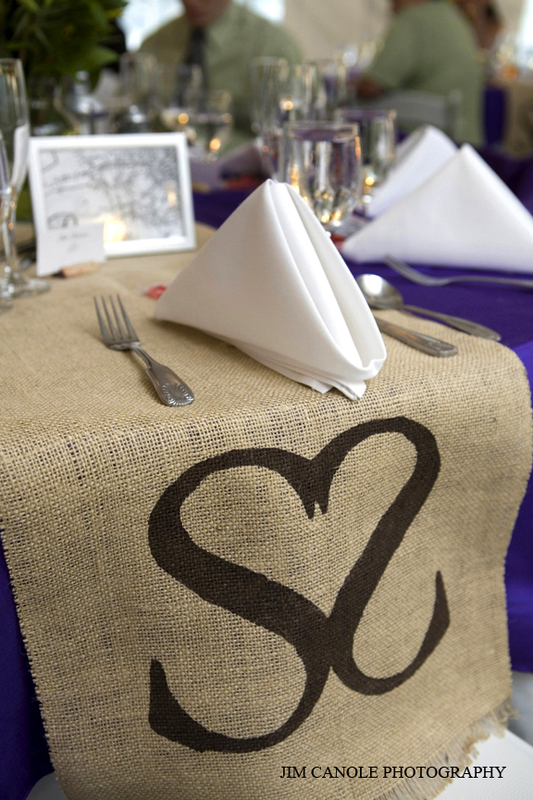 For the table, Laura’s mom created a runner made of burlap with the “S” design. 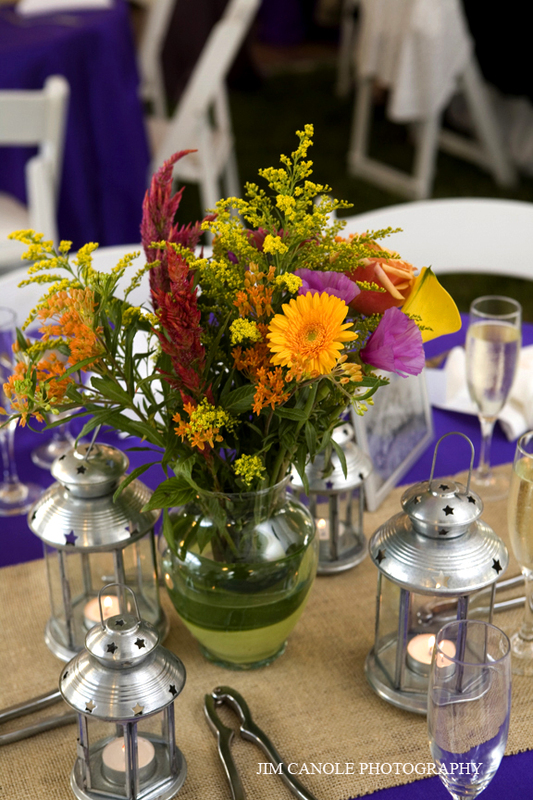 The centerpieces consisted of wild flowers surrounded by metal lanterns of varying sizes. 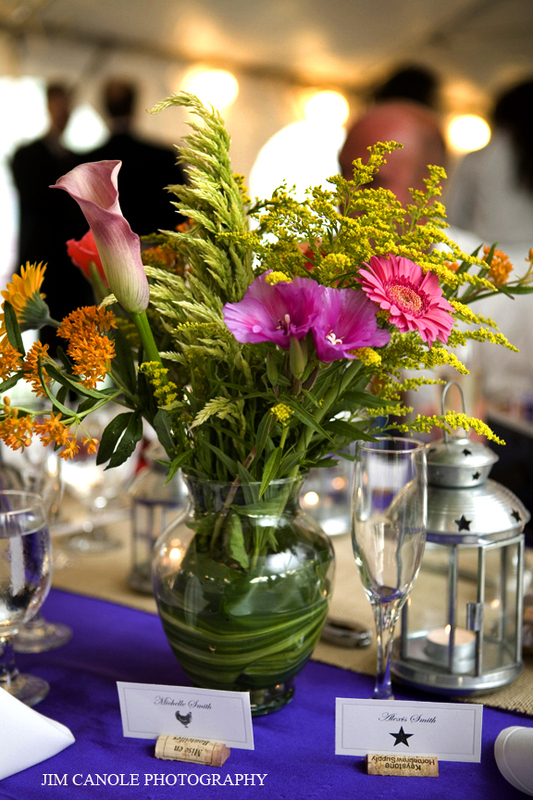 Lanterns and other centerpiece items can often be found used for a very good price. 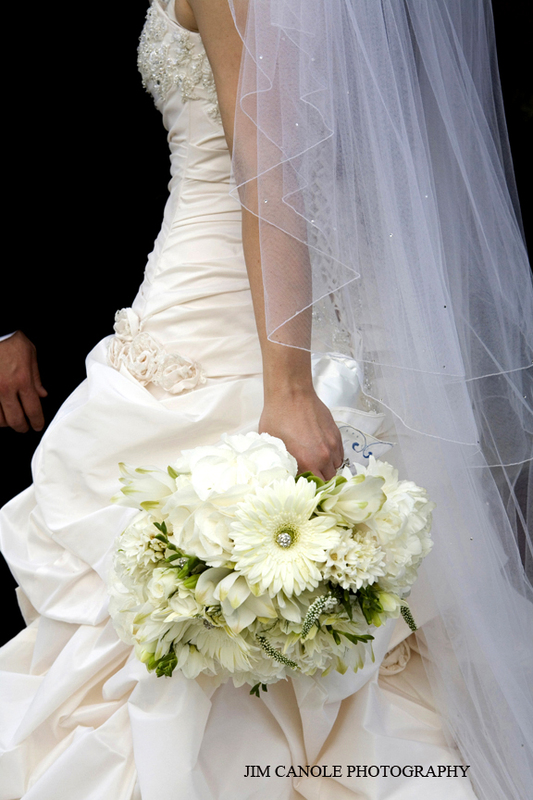 Recycled Bride offers a venue for brides to sell and buy items. Sometimes it can actually be cheaper to buy linens new/used than it is to rent them. 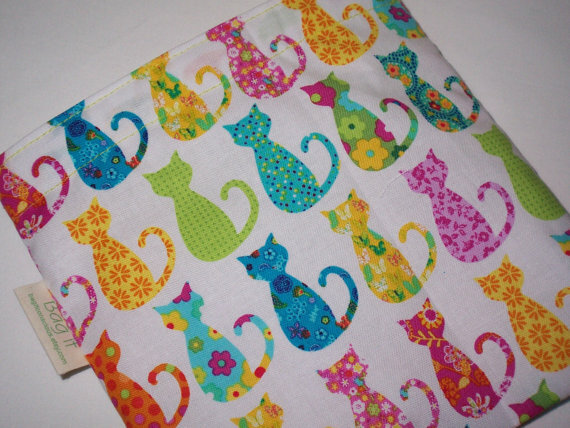 Depending on the color you are looking for, you might purchase fabric. 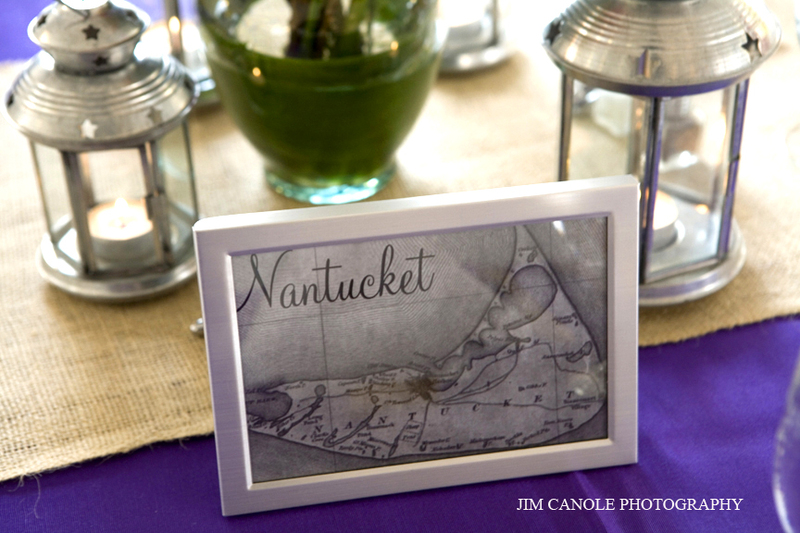 For table names, they used maps of varying towns. Many of them were towns of families and friends. Couple’s had guests select their entree ahead of time. This is pretty common. However, it is also pretty common for guests to forget what they selected. 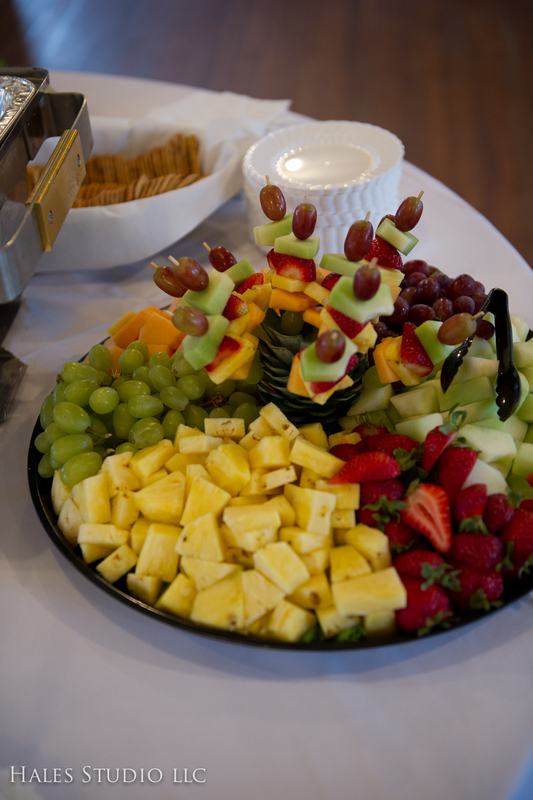 To save on catering costs, and to help the caterers plan, try to remind guests of their meal selections. 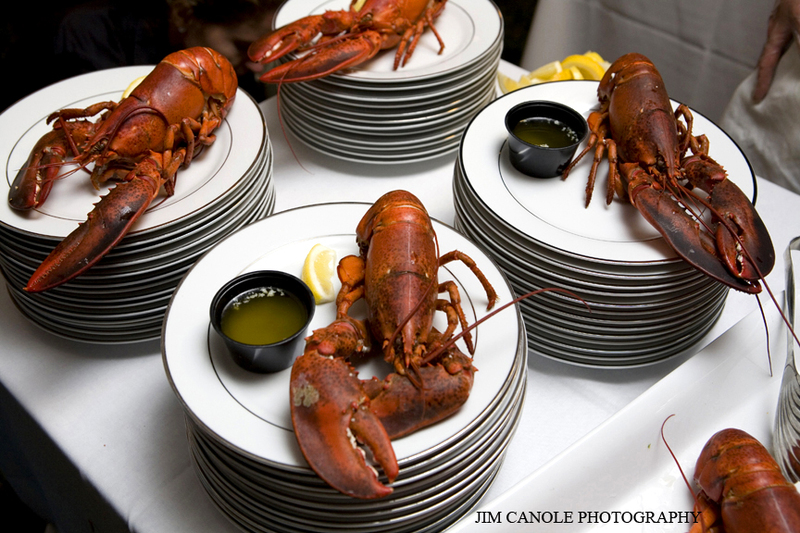 Since the couple had a New England Clambake, and all food was prepped onsite, it was really important to know exactly how many lobster’s, etc were needed. We came up with this idea. On the RSVP card, we had little images of the menu options. We made a small name card with the guest name and the symbol representing their meal. Here is a chicken and star we used to represent child. What kid doesn’t love getting a star in any form? 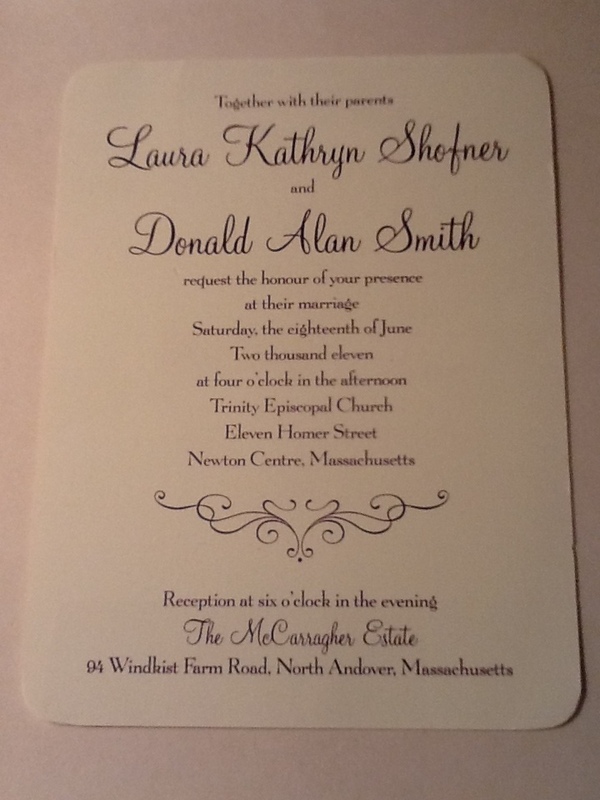 To hold the name card, Laura and Don cut wine corks in half lengthwise and cut a slit to hold the card. Each guest also received a lobster sucker favor at their seat. 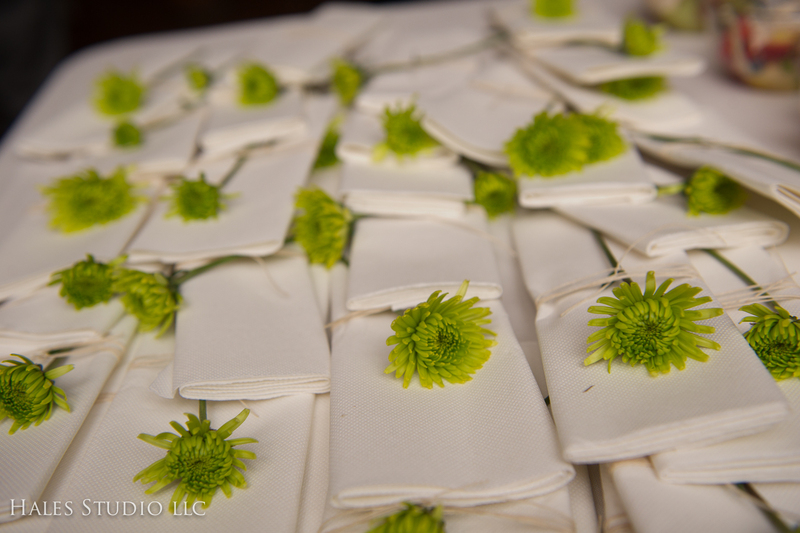 The tags on the suckers were handmade by the Matron of Honor. 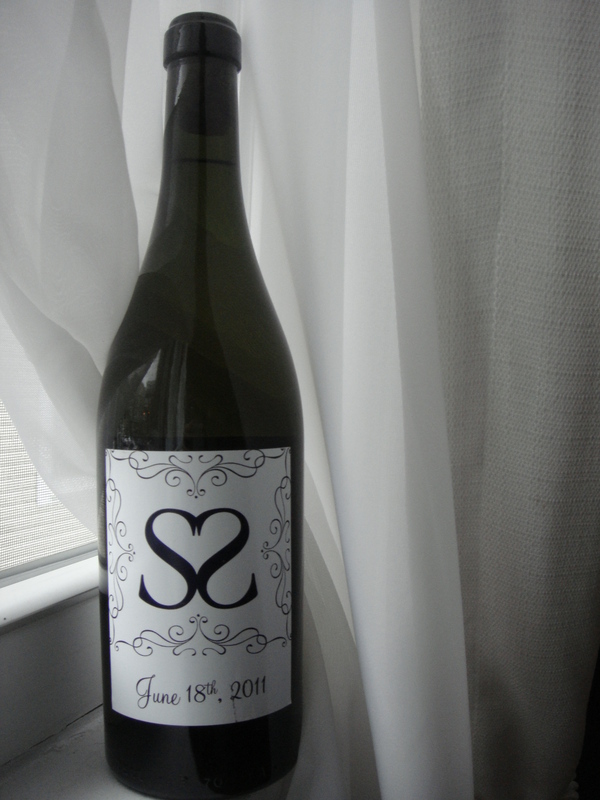 Laura and Don made a bottle of wine for each of their guests to take home. I was lucky enough to get to take a bottle home myself and it was awesome! During the reception they used a vintage wine rack to display the wine. We made a wine label featuring the logo for the wine bottles. You can purchase designed labels from myownwinelabels.com. They have quite a selection of designs to choose from. Also, they have recommendations about text specific to weddings. They sent me a nice packet of samples as well. You can save some money by designing the label yourself and printing it off on sticker paper. The texture of sticker paper which you can get at a local office supply store is actually the same material. So if you are creative…or know someone that is, in this case my sister, then you can save. 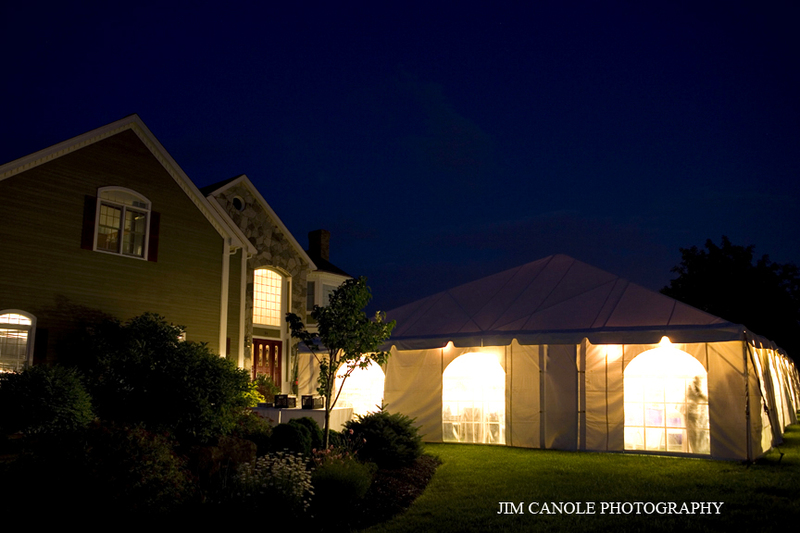 Catering was provided by Periwinkles Catering out of Essex, MA. The meal was a traditional New England Clambake. Tom cooks right on site, so you know it is fresh. While the food was amazing, Tom and his staff really outdid themselves in terms of event management. 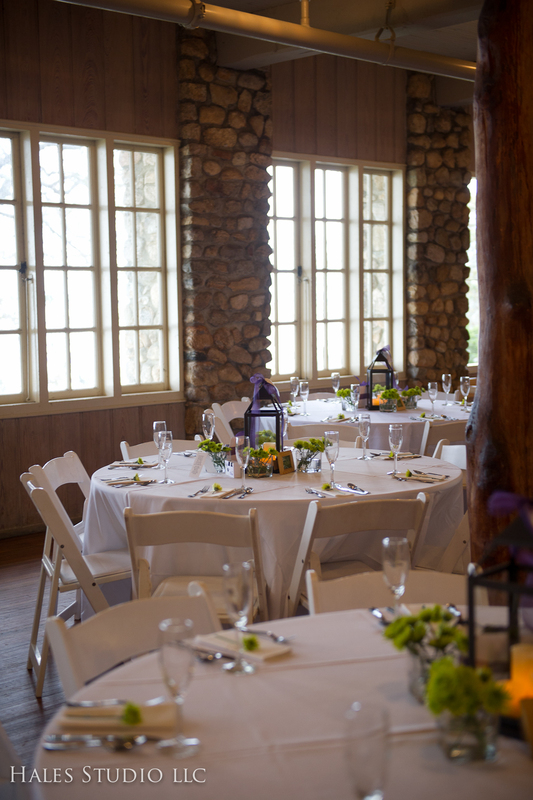 The staff helped with set up, last minute changes, and really was one of the key factors in the success of the reception. I would highly recommend them to anyone in the Boston area. Apps for the cocktail hour. Cake was done by Konditor Meister in Braintree, MA. It had three layers: tiramisu, carrot cake and white with butter cream frosting. Had the logo also incorporated in the cake. 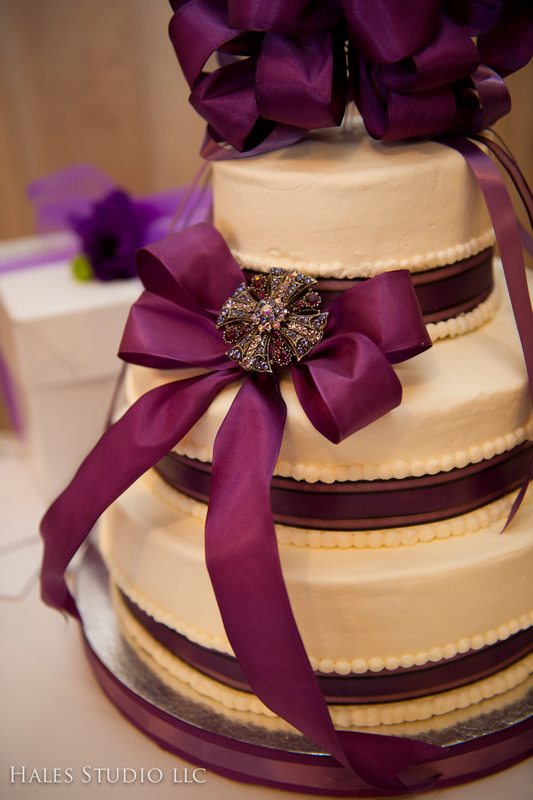 Laura also had a smaller cake of the same flavor for her and Don to cut into that was gluten-free. Something Sweet Without Wheat in Woburn provided this cake. 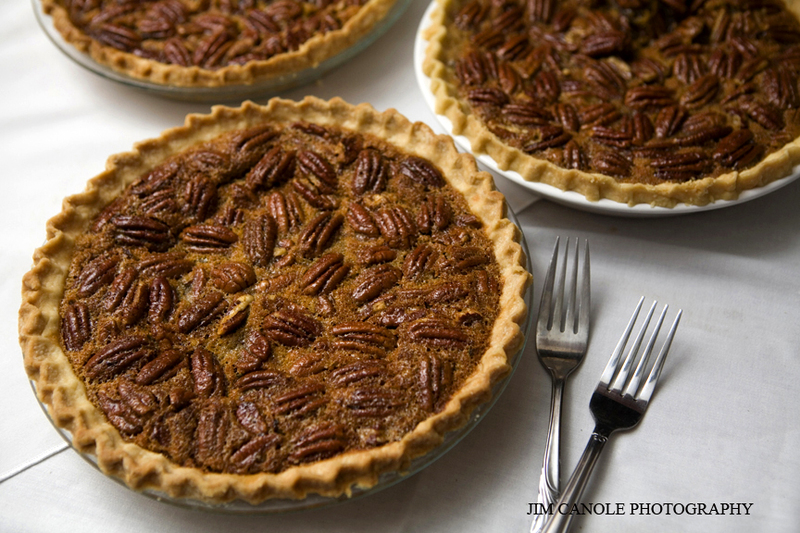 In addition to cake, they served Don’s favorite, Pecan Pie which was handmade by a friend. Bar was provided by Boston’s Best. Diana was so great to work with. 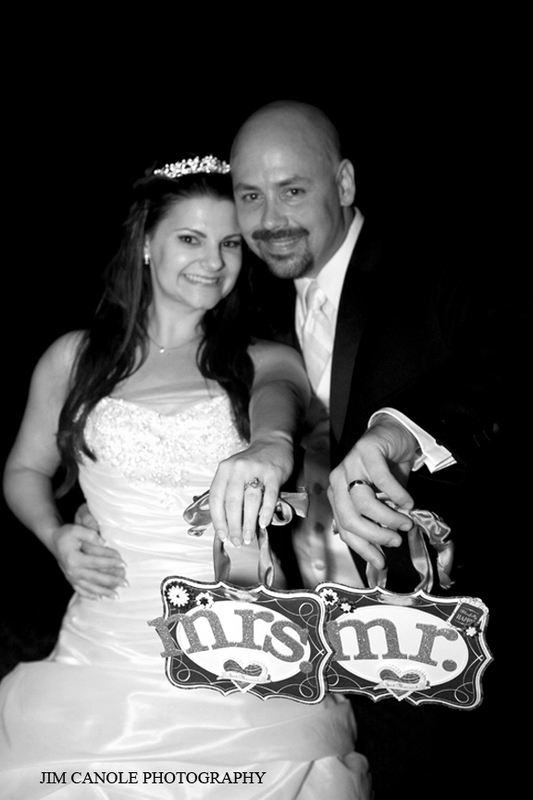 She customized a package for the couple and created some signature cocktails for guests. They served lemonade and sweet tea. Boston’s best provided the bar-tending, but we needed to purchase the alcohol wholesale. We went with Kappy’s On Call for the alcohol. The DJ, Lee Wilson of Underground Sound Mobile DJ Service, was great! 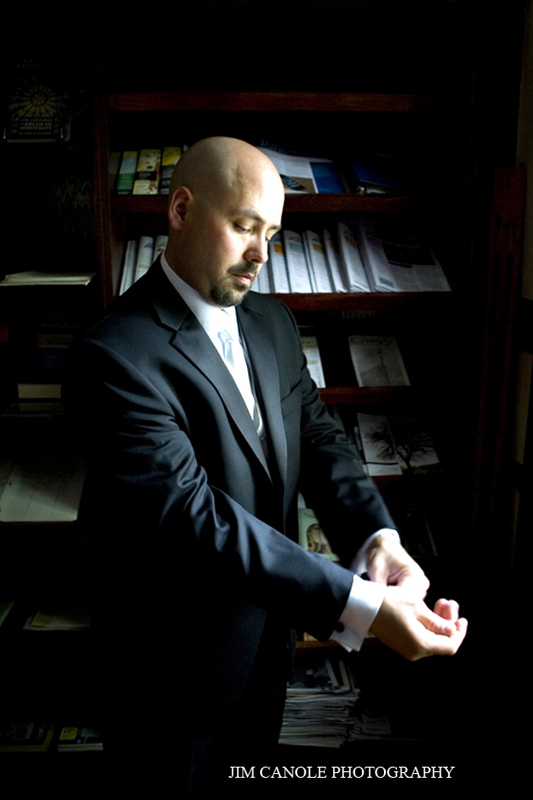 He was a friend and former co-worker of the bride. More pics from the night. The couple dancing under the lanterns. Perfect twirl Don. 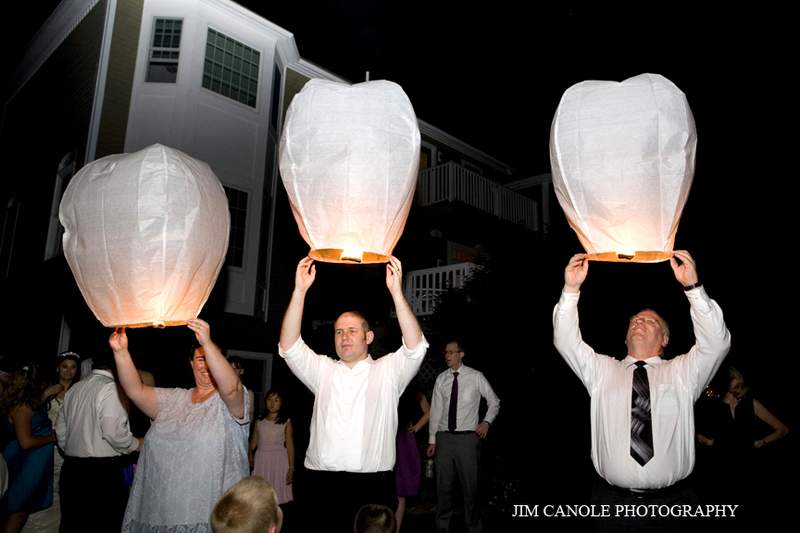 The couple rented Chinese lanterns through the rental company. They come pre-strung and go up with the tent. This is worth the extra money. If you were to purchase the lanterns and “attempt” to hang them yourself, it can be extremely tricky. Laura and her sister preparing for some serious dancing. View of the tent at night. The couple really wanted to do sparklers. However, sparklers even at a private residence are illegal in MA. 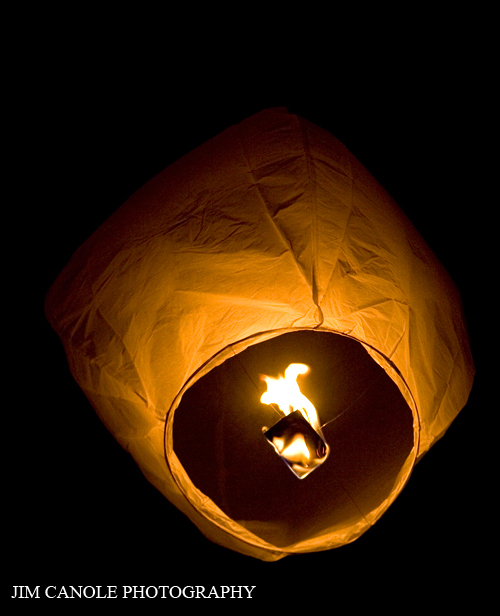 So we found these Sky Lanterns from BigFireworks.com. I actually think they were more fun for people to use and since the house had a nice back yard, it was perfect to watch. One warning about any sort of lantern/sparkler. Always check with the local fire department before using anything. At the time, I think these lanterns were fine for the town, but I recently saw something on the news about these. Always check to be sure. 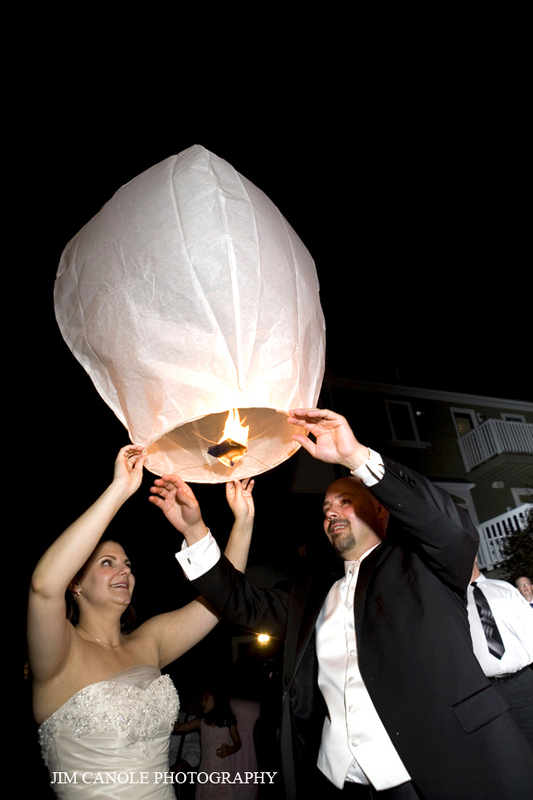 The couple lit the last lantern together. The couple, signing off for the night as Mr. and Mrs. Finally got the opportunity to use this giant Patron margarita glass. 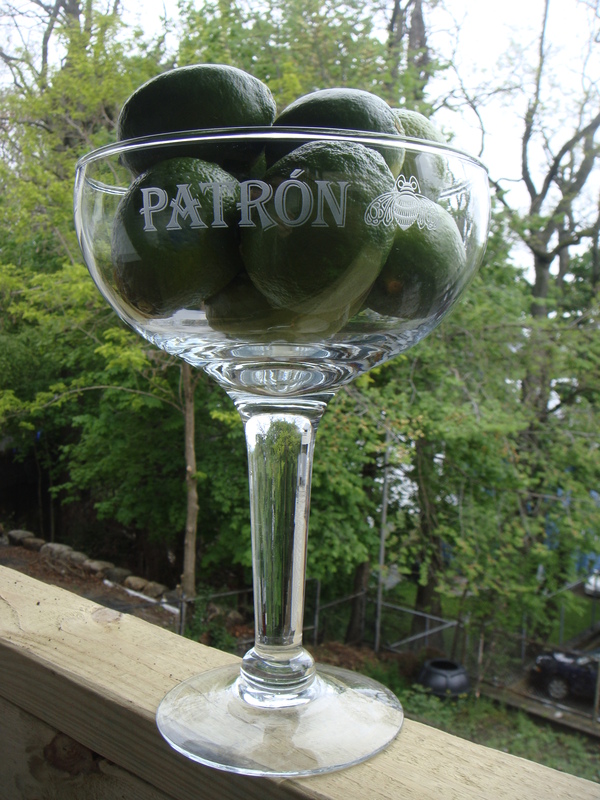 Made some Classic Patron Margaritas. I didn’t make these this time, but have made them before. Churros…so good. Any good Mexican recipes you want to share? I ordered a bunch of these babies to bring my snacks with me to school. Yes, in grad school you revert to worshiping snack time (and nap time) the same way you did in kindergarten. I was getting sick of buying/running out of zip lock bags and carrying Pyrex bowls in edition to a 50 pound accounting book. I am sure the mom bloggers are already all over these and they are so last season. But, in addition to their ability to transport food, long-term, they can be used as gifts too! 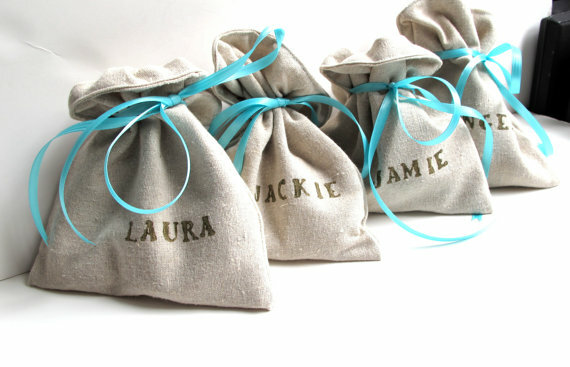 What cute, reusable gift bags for the bridal party. 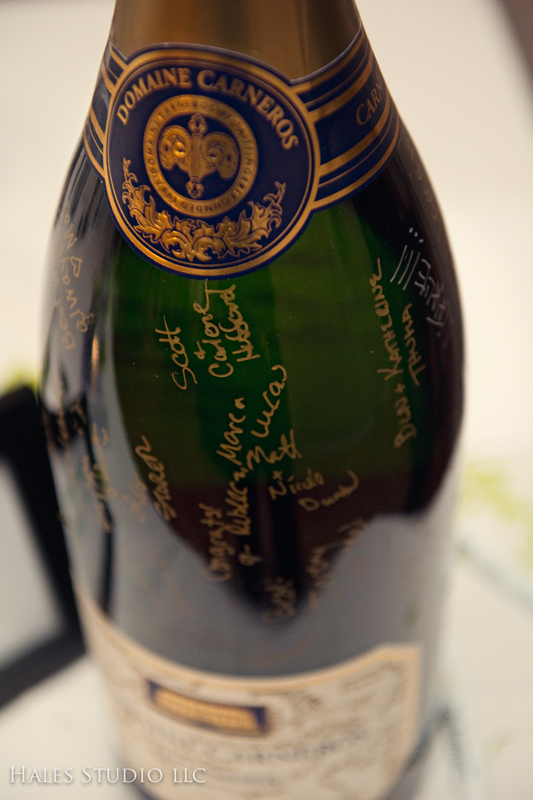 You can personalize it by having their name stamped on them. These are from House Jewels on Etsy. If you didn’t want to get all the same bag, you can personalize even more by getting a special design bag for each girl. 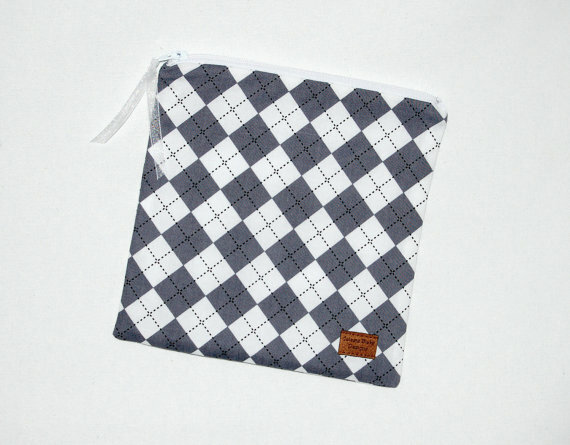 I have a friend who loves Argyle, I think she would be all about this one from Celeste Blake Designs. And for my Mom, the cat lady, from Bag it Conscious. 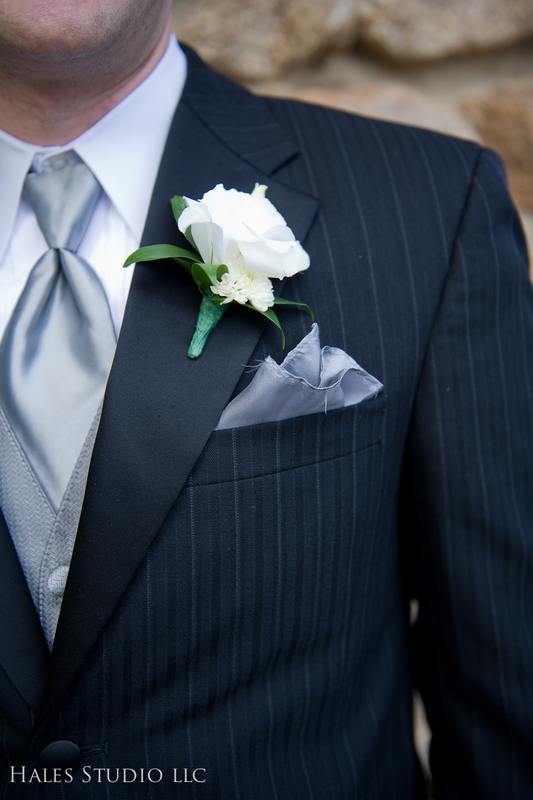 Unfortunately, for the groomsman, they are not too manly. I actually have been trying to find a normal one for my husband. You know, something manly like Thunder Cats, Spider man, Superman, Xmen. I am surprised by the lack of cartoon character themed ones. However, most of the vendors seemed like they would be willing to get some fabric and make whatever I wanted. This would be cool for a dude…maybe if it was filled with each groomsman’s favorite miniature liquor or fancy cigars. There are so many vendors on Etsy selling these in varying sizes. 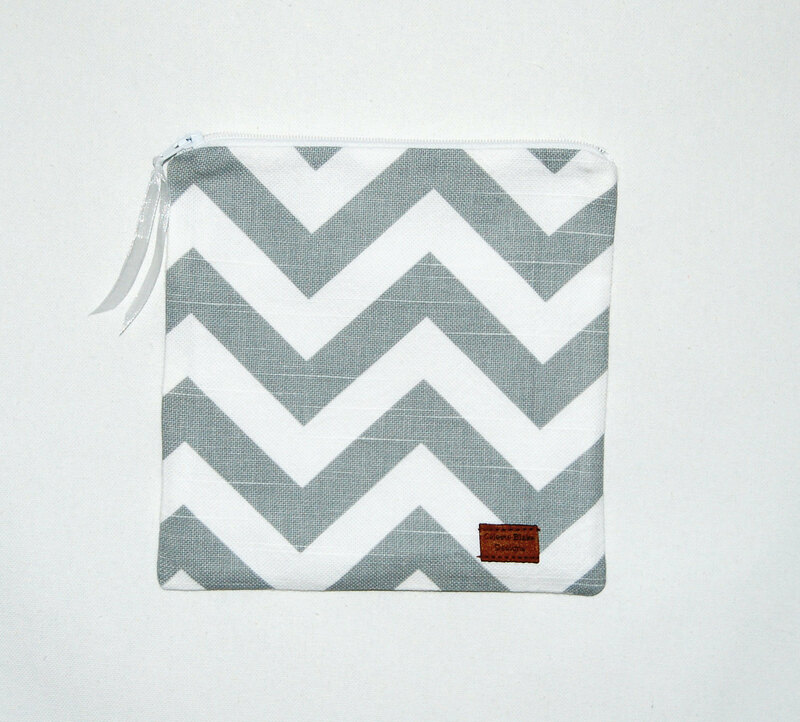 They are great to use for food, to hold a gift, or my most recent use, as a makeup bag. I will say that I prefer the zipper bags to the Velcro. Normally I wouldn’t care, but trying to nonchalantly open the Velcro bag in class when you can’t wait until snack time can be distracting. They are also super easy to clean! So in edition to getting your gals some ugly jewelry (lets be serious, they will never wear it again, and it only matches the dress they will never wear again), get them something they can use again. For more ugly dress eye candy, go here. 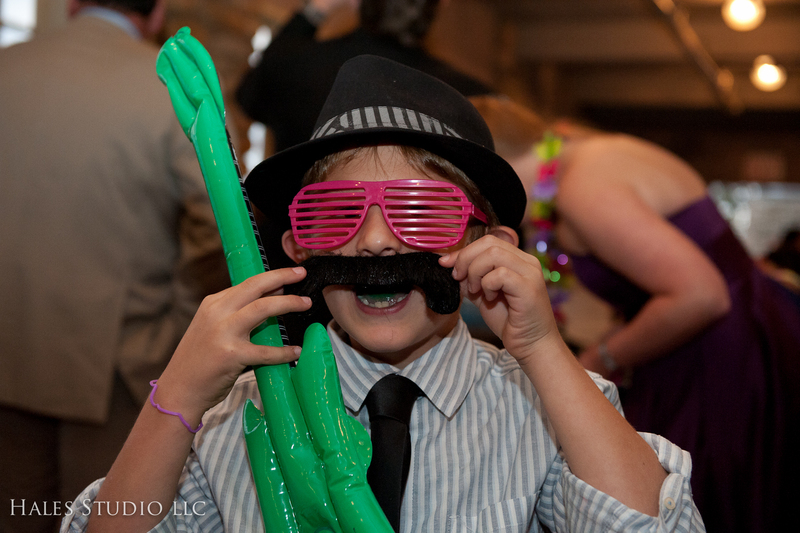 But if you have been to/in a wedding in the 80s or 90s, then you have probably been tortured enough. On vacation this week, so I am catching up on some much needed cooking/baking. 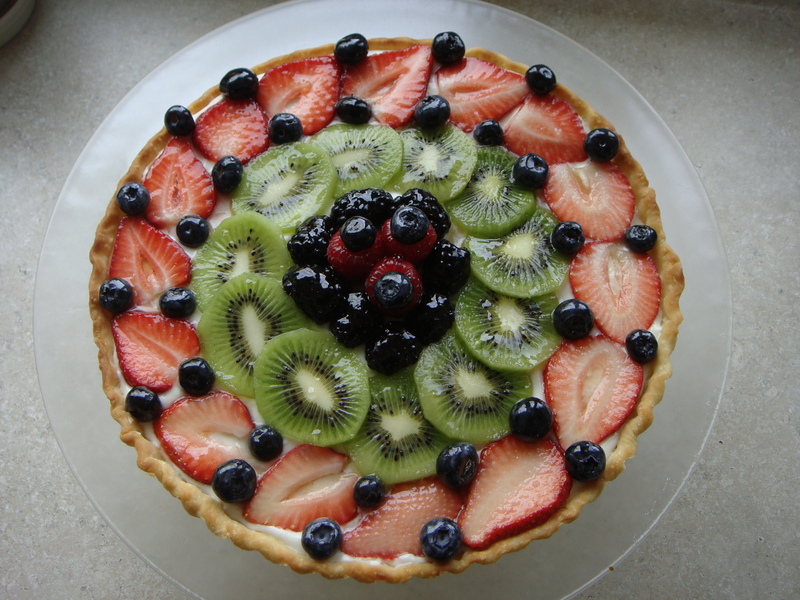 I made this Fruit Tart for a friend, so unfortunately, I have not yet had a bite. Having a tart pan for so long, you would think I would have had the opportunity to actually make one of these. Nope. I just collect recipes for them. I used a combo recipe. Combo pretty and lazy. Directions: Bake the crust according to the package directions. I did 450 for 10 min, but I took it out at 9 min. I might even bake at a lower temperature. Let this cook before putting the filling in. For the filling and topping: Beat the cream cheese, sugar, and vanilla together until smooth. Spread over the cooled crust. To prepare glaze, in small saucepan heat jelly (or jam) over medium-low heat, stirring constantly, until jam is melted, set aside to cool slightly.Cut the strawberries into 1/4-inch slices and arrange around the edge of the crust. For the next circle, use kiwi slices. Add another circle of strawberries, filling in any spaces with blueberries. Cluster the raspberries in the center of the tart. It was a pretty quick make. I think I would use powdered sugar instead of regular sugar for the filling next time. Or a pudding filling. 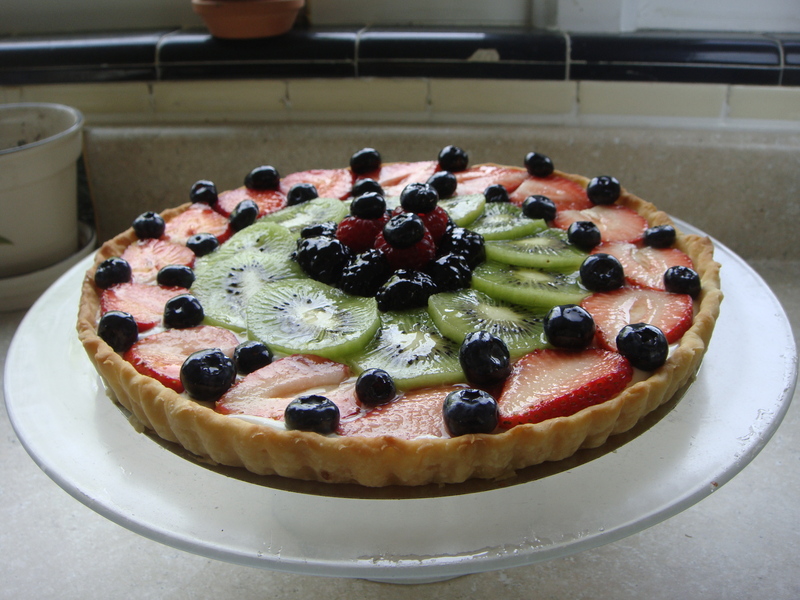 I also put the glaze on the fruit as I put it on the tart. I didn’t want to mess it up by accidentally getting the filling mixed with glaze. I got the recipe from foodgawker from La Mia Vtia Dolce. Naturally with a seemingly legit blog title, she made everything from scratch. 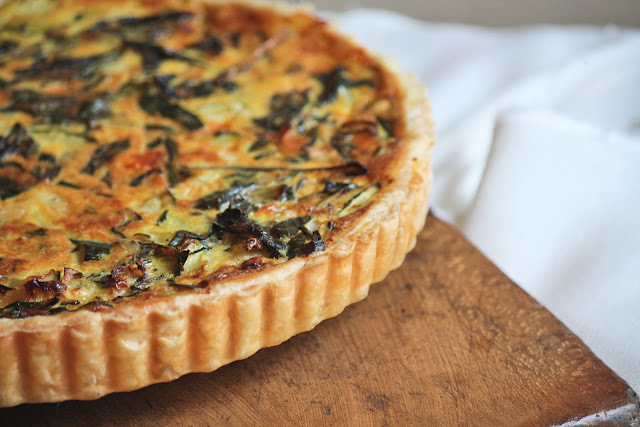 What is your favorite tart? Sweet. Savory. Please share any recipes. Kelly + Ben were the first couple I worked with. 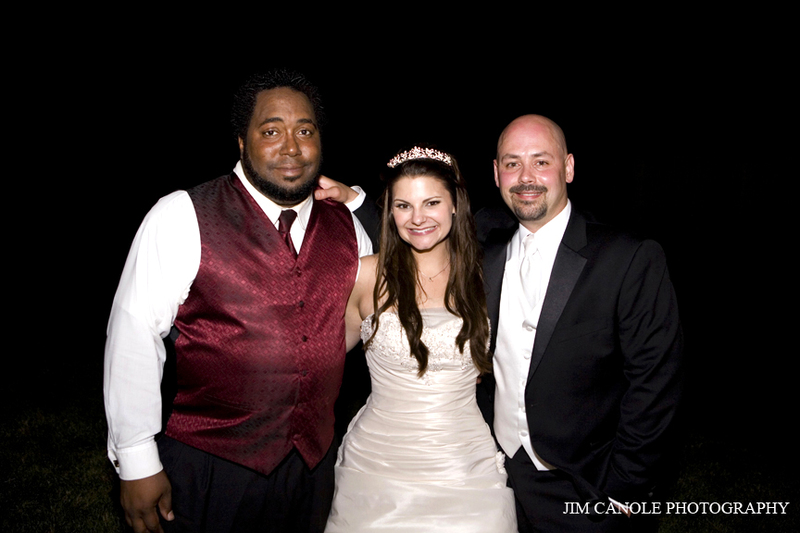 I couldn’t have asked for a better couple to work with for my first wedding. Before I get into the nitty-gritty and awesome pictures/run-down of the wedding, I would like to take a moment to thank someone. Erin Gates of Elements Interiors, Inc. author of Elements of Style blog. 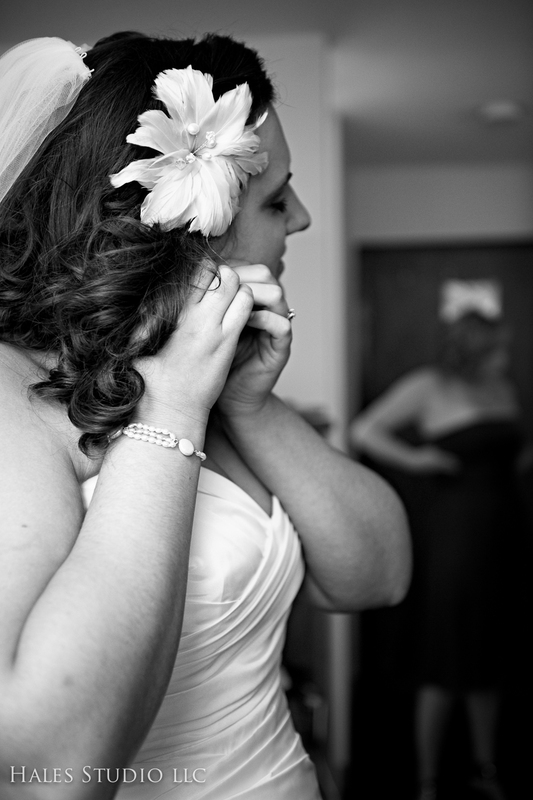 Erin has no idea who I am, but after reading her blog, I feel like I have known her forever. 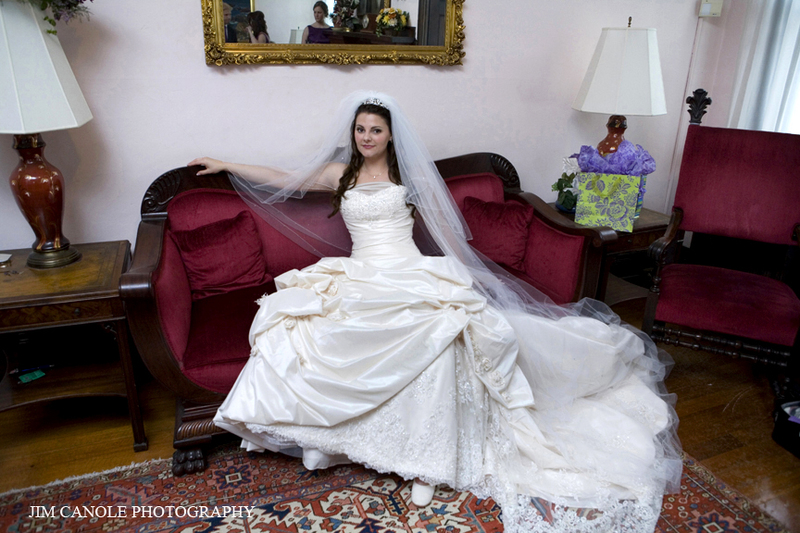 She inspired me to put myself out there as a wedding/event planner and start Planning by Popyk. If you are thinking of starting your own business or just want to read an awesome blog, you should check her out. 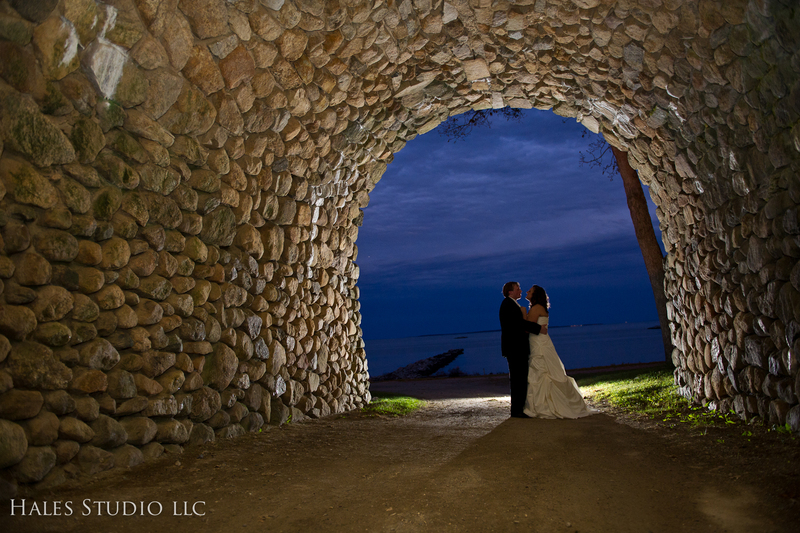 Kelly + Ben selected The Pavilion at Rocky Neck State Park (RN) in Niantic, CT for their ceremony and reception site. 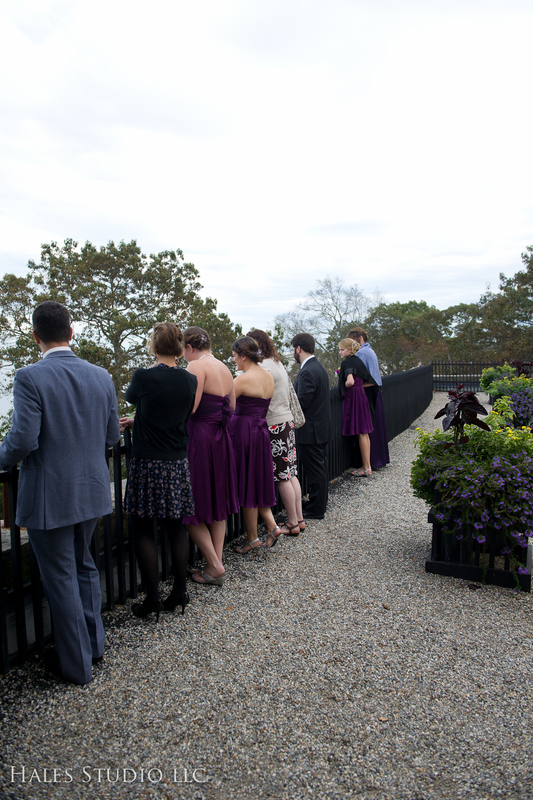 Many of their guests were from out of town and they wanted to highlight a scenic spot in CT, where they had been living. With a save the date like this, I knew this would be a fun wedding to help plan. They got this idea from a greeting card. The opposite side is a picture of the two of them mirroring the picture with their own large pitchers. Rehearsal dinner was at the famous Mystic Pizza, from the movie….Mystic Pizza. I am from CT and actually never have been there. So I made sure to sample the product before the endorsement…and it is just as good as everyone says. The pizza, still haven’t seen the movie. 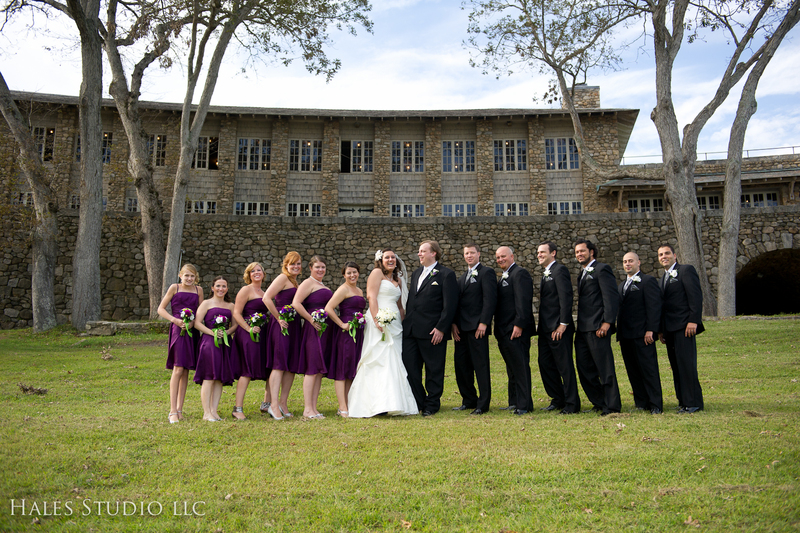 Kelly and guests stayed at the Niantic Inn. 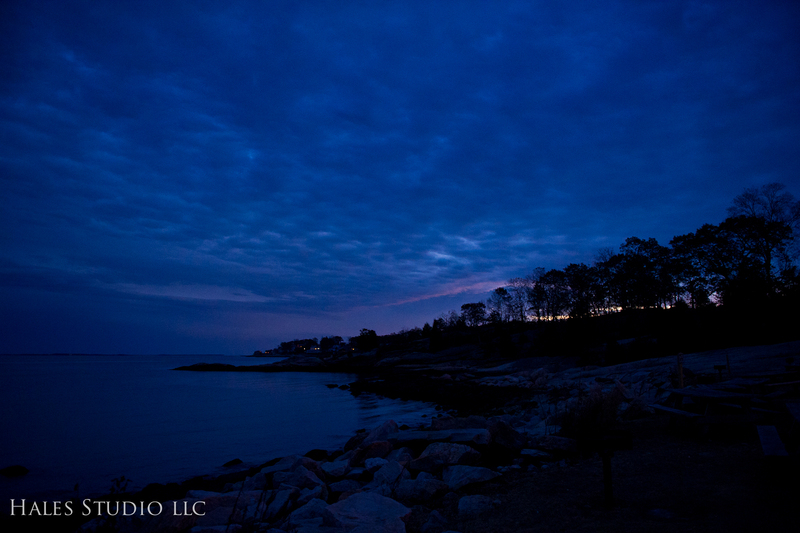 A quaint inn located in downtown Niantic, minutes to RN which has a lovely view of the ocean. 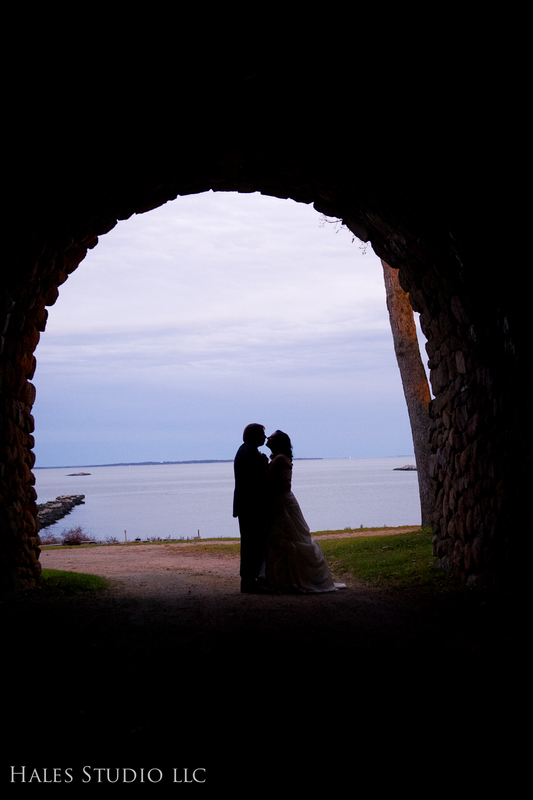 It also provides the backdrop for some great photo ops. The guys before the wedding. Not very hard to find a boat in these parts. The couple decided to take pictures before the wedding to maximize time with guests and enjoy the cocktail hour. I don’t blame them. Appetizers are the best part! Some shots of the couple. Her dress was Augusta Jones in Ivory. Parks like this one with beautiful grounds and detailed, architecturally appealing buildings are an untapped resource for weddings. You can’t beat the views and possible photo ops. The best thing about RN was the stellar staff, particularly Sue who had great recommendations throughout our planning stages. 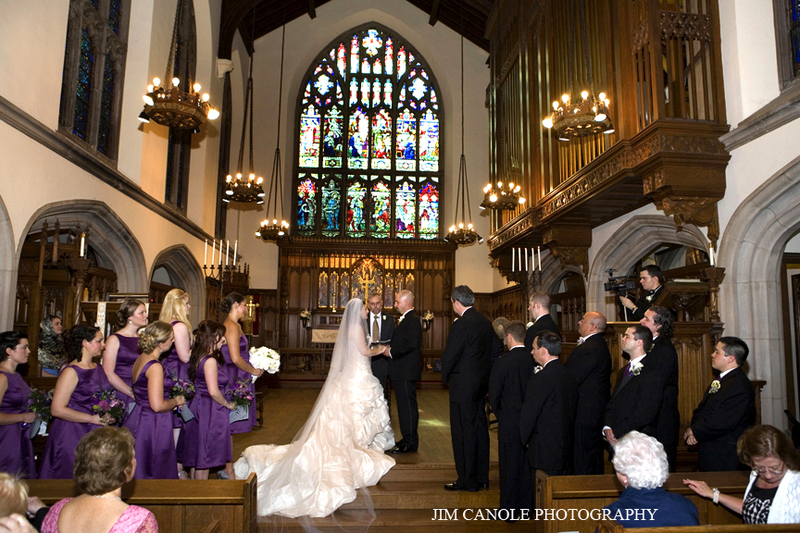 There are multiple locations to choose from for a ceremony. 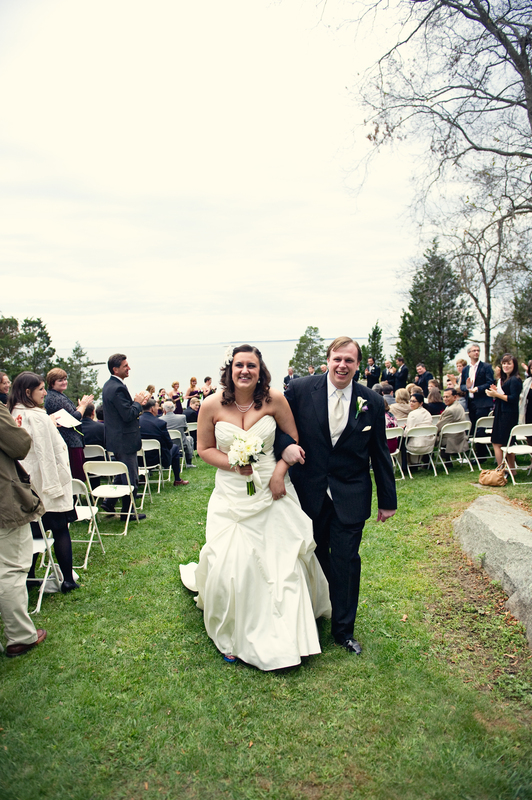 Kelly + Ben selected a wooded area overlooking the water. Here Kelly’s brothers walked her down the aisle. For music, their neighbor played the harp. It was the perfect accompaniment to the waves crashing in the background.
. The ceremony was officiated by Ernest Adams of Nutmeg Justice of the Peace. If you are looking for a JP in the New England area, I would highly recommend Ernest. He is almost a JP/Wedding planner in one. Not officially, he is just that good. 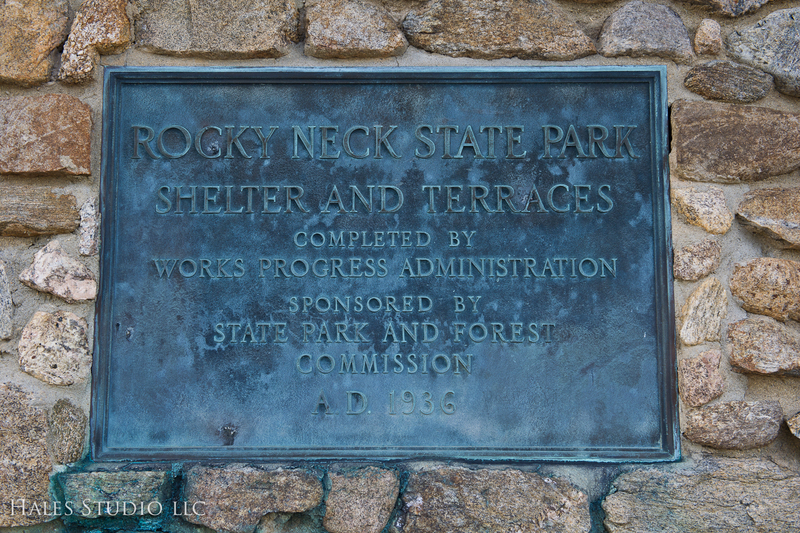 We needed to do multiple walk-throughs of the site because Rocky Neck Park was severely damaged by Hurricane Irene like much of the CT coast. Two weeks before the wedding, we still did not have the o.k. to use the Pavilion because trees were blocking the entrance to the park itself. Ernest worked with me to brainstorm back up plans in case we needed to find an alternative site for 250 people in 2 weeks! Yikes! Luckily the park staff worked tirelessly to get it up and running and we didn’t need an alternative. One unique part of the ceremony that Ernest does is a ribbon ceremony. It is a way for family members to get involved. The couple and family members had a good time with it. Kelly and the girls. Dresses by Monique Lhuillier from Nordstrom. 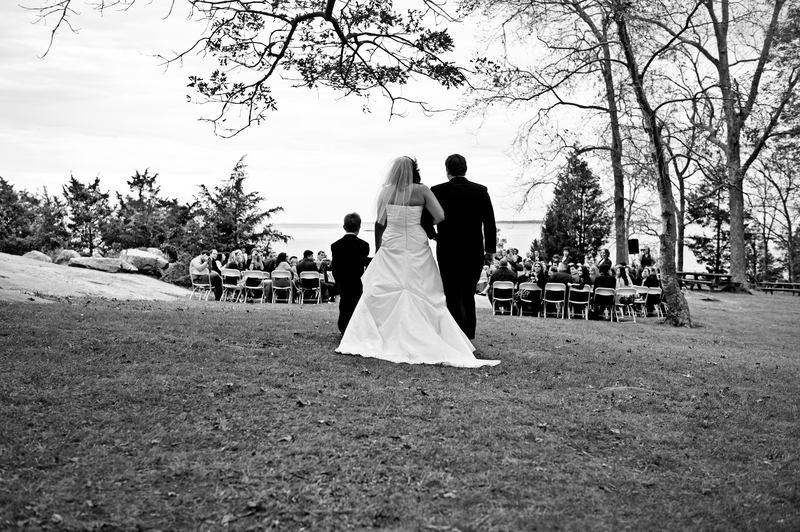 The stone walkway wraps around the Pavillion and is another option for a smaller ceremony. 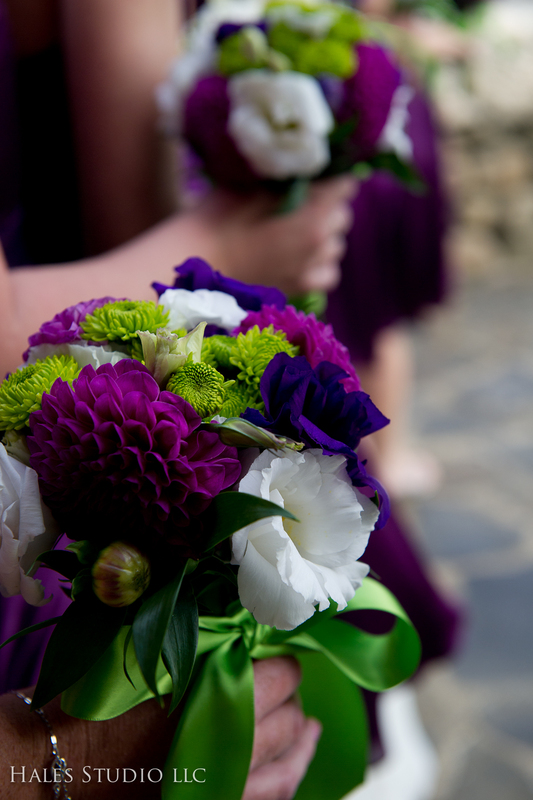 Flowers by McQuades. They also provided catering. This saved on cost because delivery of food and floral were combined. The florist was excellent. Stick with what exists in nature. Not because I am an ubber environmentalist. I have a rain barrel, but that is the extent of it. If it isn’t in season or if you have to dye flowers to make them the color you want, it will be more expensive and the flowers won’t last as long. Don’t be too matchy. 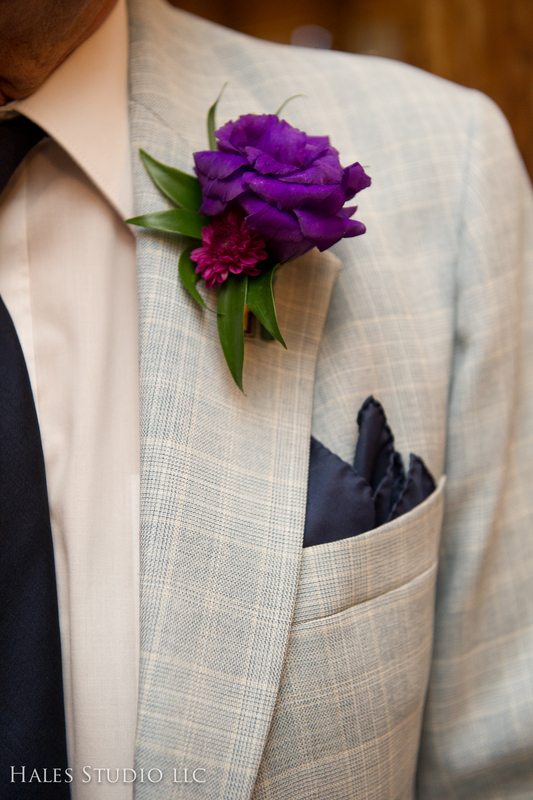 Complimentary colors will make everything pop. 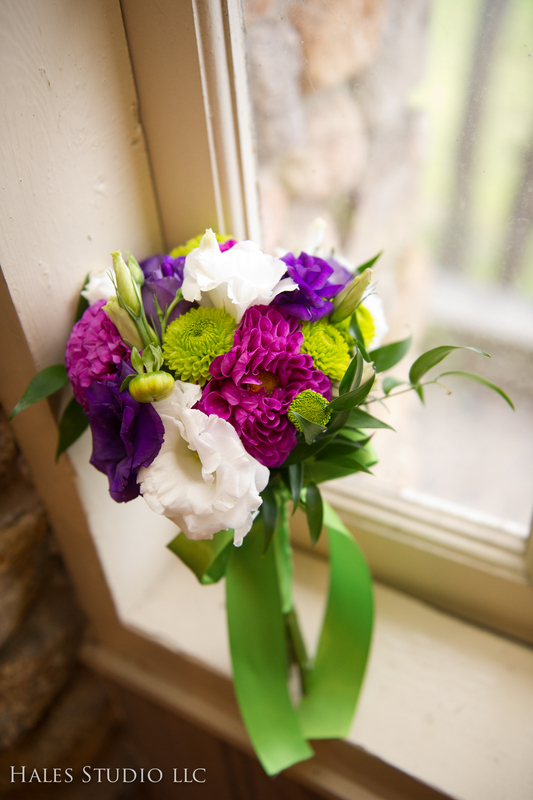 The florist worked with us to replicate the look Kelly wanted by using local and seasonal flowers. And on to the reception. 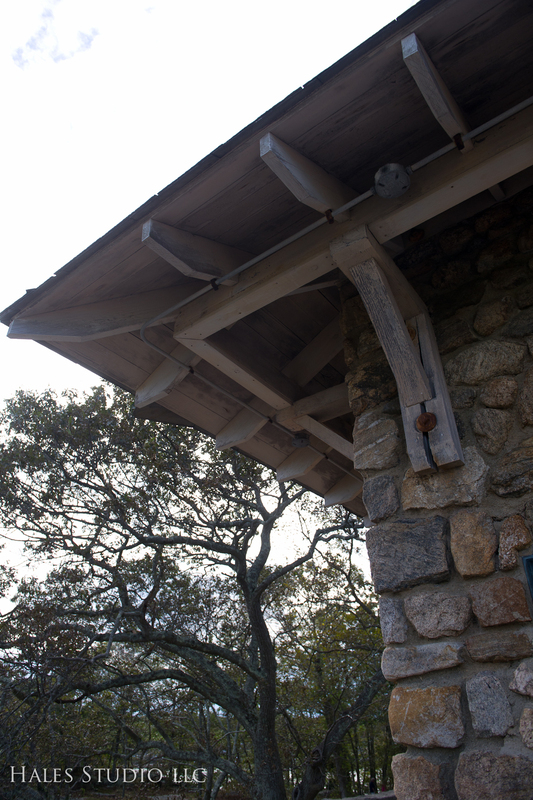 The Pavilion again has so much natural detail, that you really don’t need that much to dress it up. Less really is more at this place. 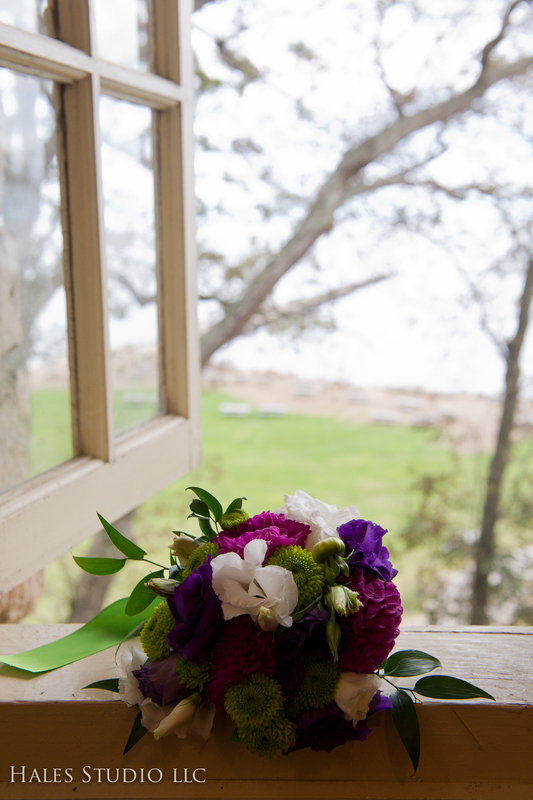 By day the natural light from the windows overlooking the water. 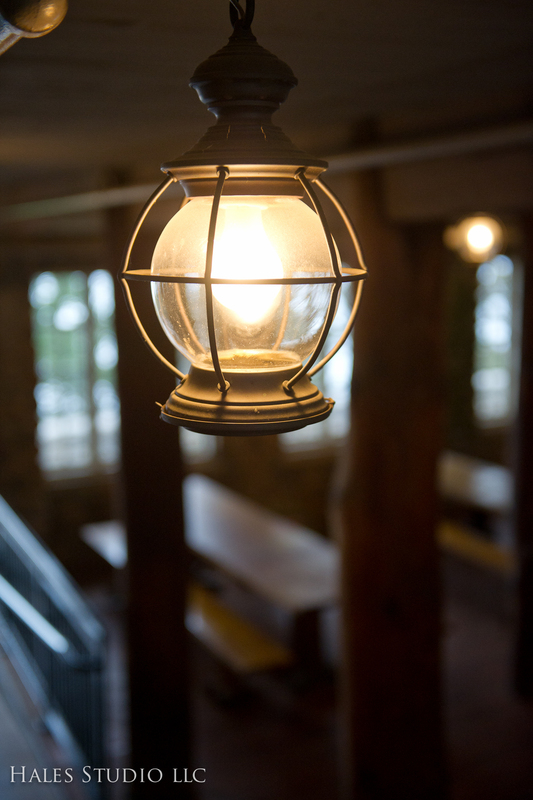 By night, the vintage lanterns (and added Chinese lanterns) light the reception. 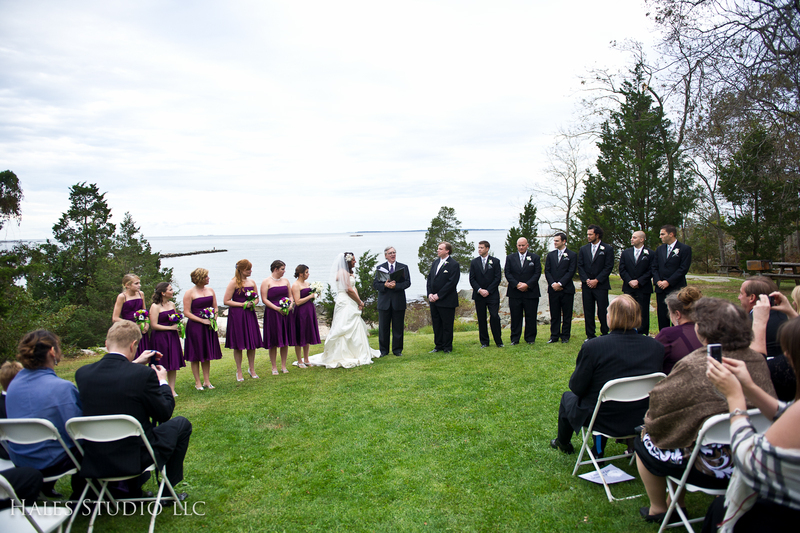 At this fall wedding, we got to experience both. 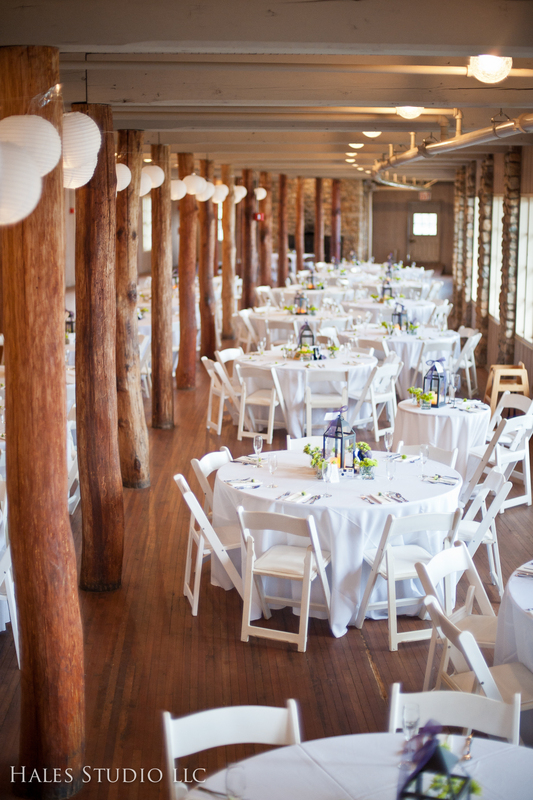 We went with white linens and white chairs to provide a contrast to the wood. The cocktail hour was held at one end of the Pavilion which opened up to a Terrace. They change the flora seasonally, so no decor needed outside. You can see the ceremony site from here as well. 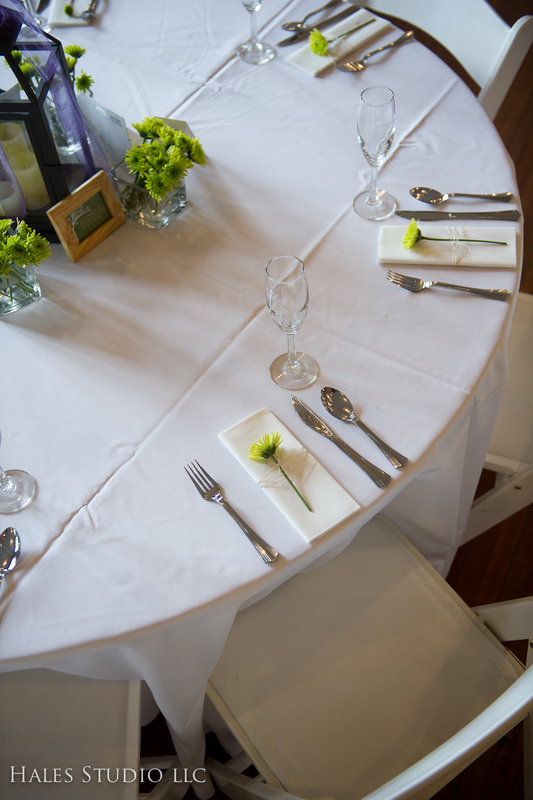 Place settings were again simple. A single mum tied with twine to the napkin. 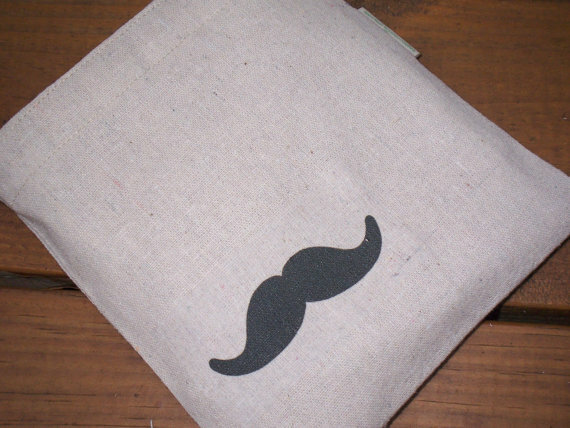 These napkins are actually paper. Can you tell? And they are the softest paper napkins ever. With 250 plus guests, this was a huge savings. 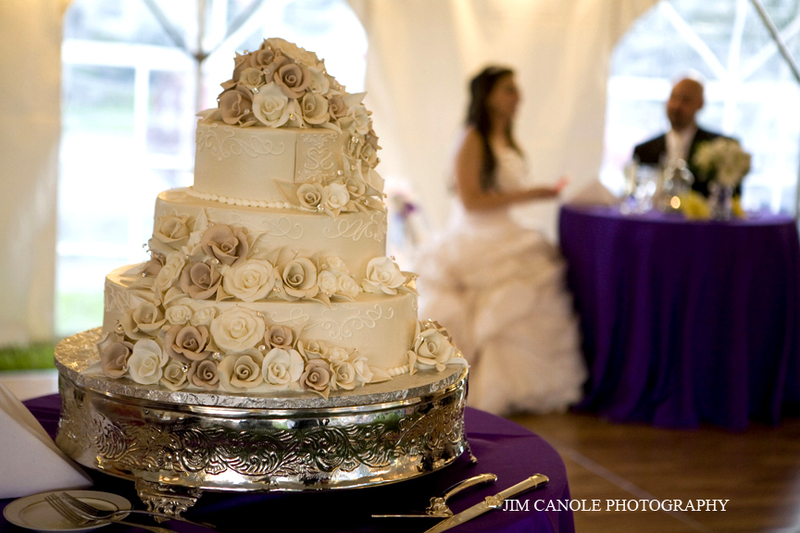 In addition they used silver plastic flatware and white plastic diner ware. 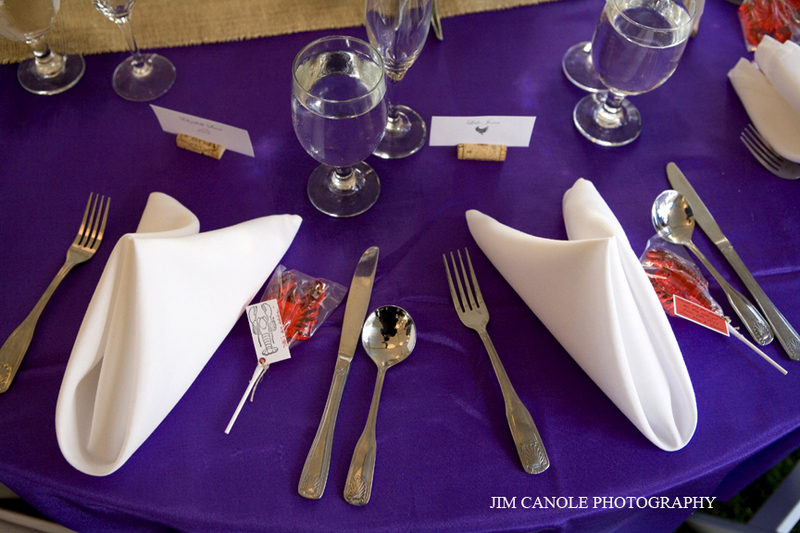 Caters can buy them in bulk and they are significantly cheaper than the standard place setting. 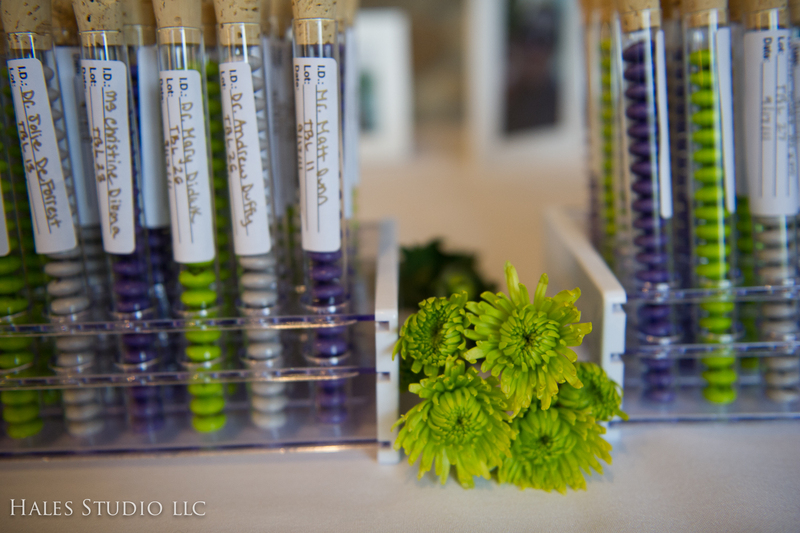 Kelly and Ben both have careers in the sciences, so what better way to display guest tables than a test tube filled with personalized M & Ms. The couple also displayed pictures on the table. 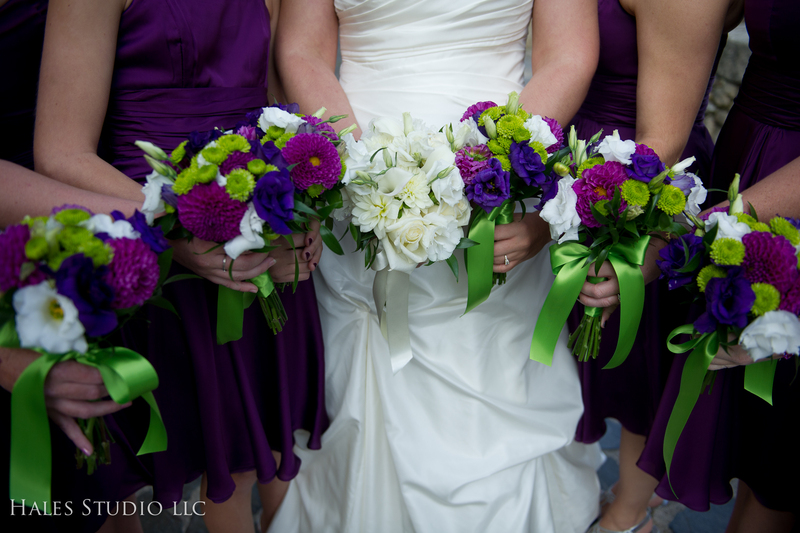 We used green mums throughout the Pavilion to add a pop of color when needed. Since mums are so hardy, they lasted for the whole event without needing water. 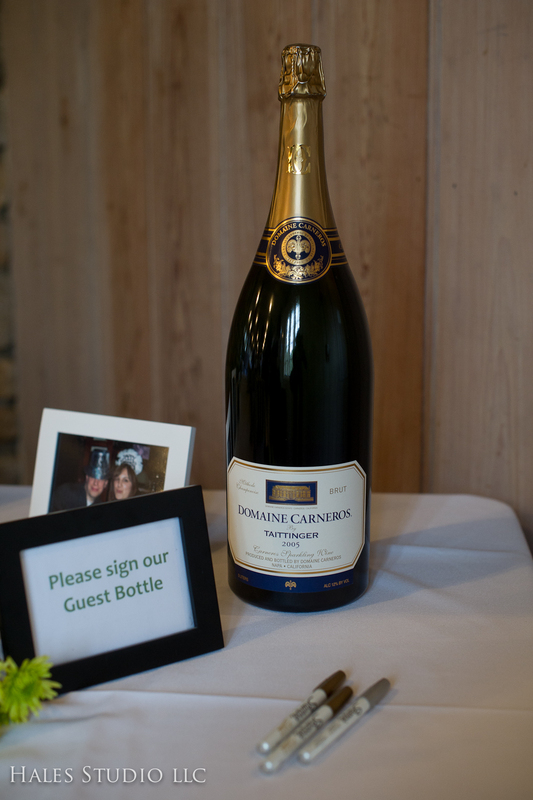 Instead of a traditional guestbook, they had a large champagne bottle for guests to sign. Here is a before and after. Food again was by McQuades Marketplace. 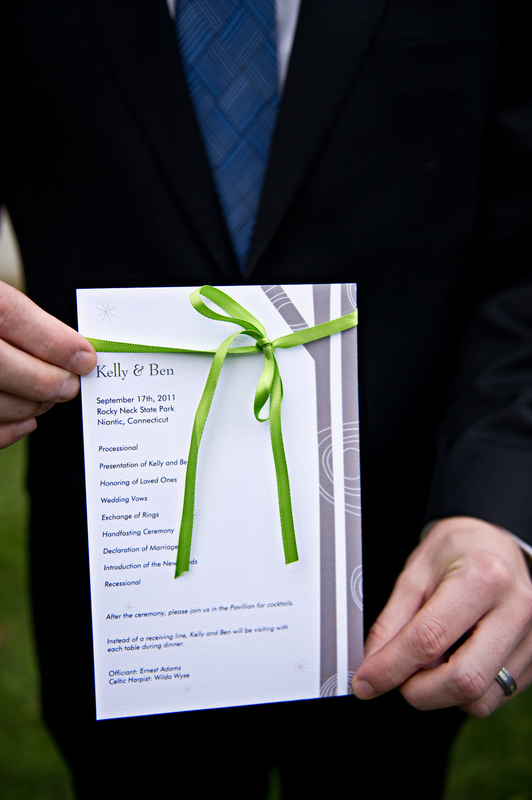 Bill from McQuades was excellent in customizing a menu to Kelly and Ben’s budget. When Sue from RN recommended Bill from McQuades and said they can “hustle”, she wasn’t kidding. The catering staff was waiting at the gates as soon as they were allowed to get in, cooked the food fresh outside, managed to tie the flowers to all the place settings, helped out with centerpieces, and was packed up and out of the building in time. 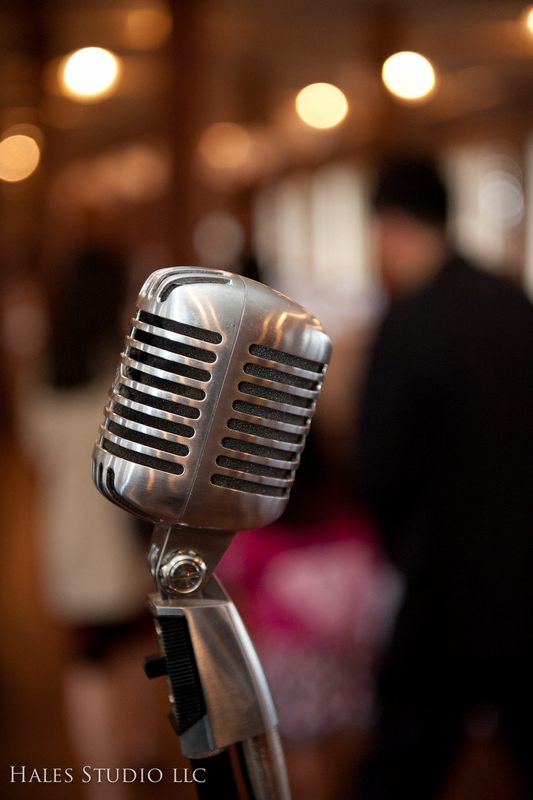 At RN and many reception locations you will be billed if you exceed your time. They knew how to get in and get out and leave the place in good condition so that Kelly and Ben got their deposit back. 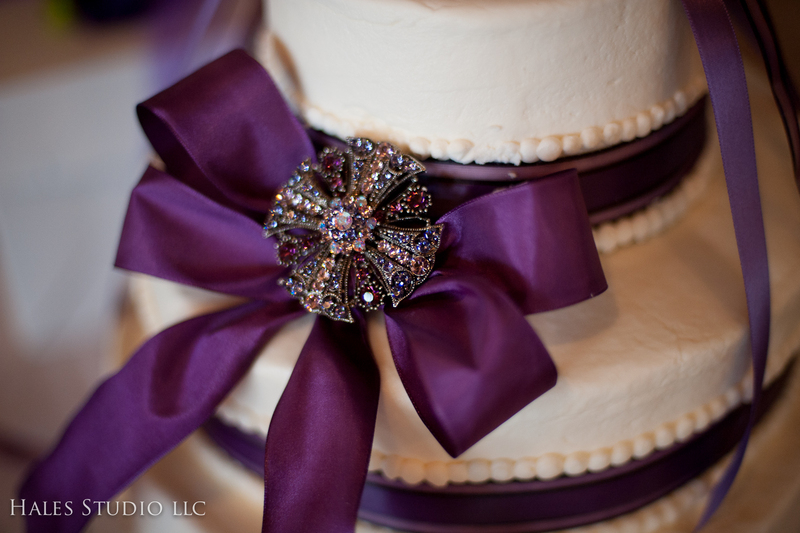 Cake provided by Deb from O My G’nache. 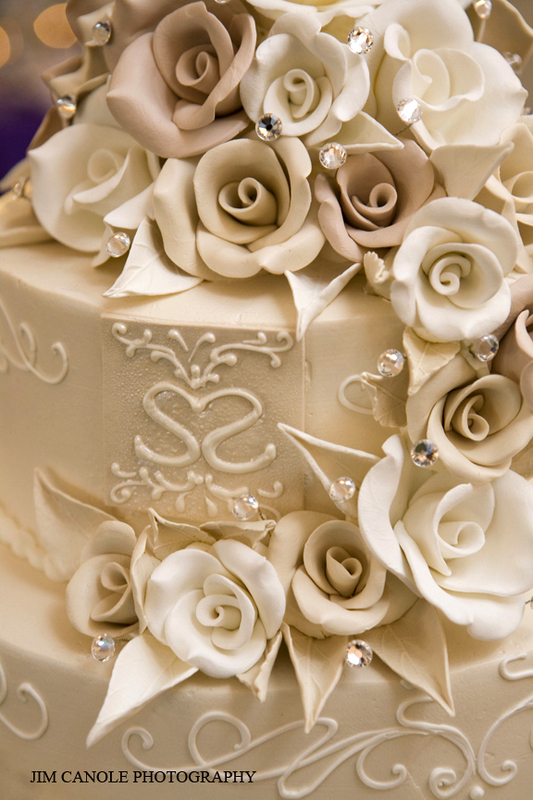 I have had the pleasure of working with Deb at a previous job where I sampled many of her cakes. 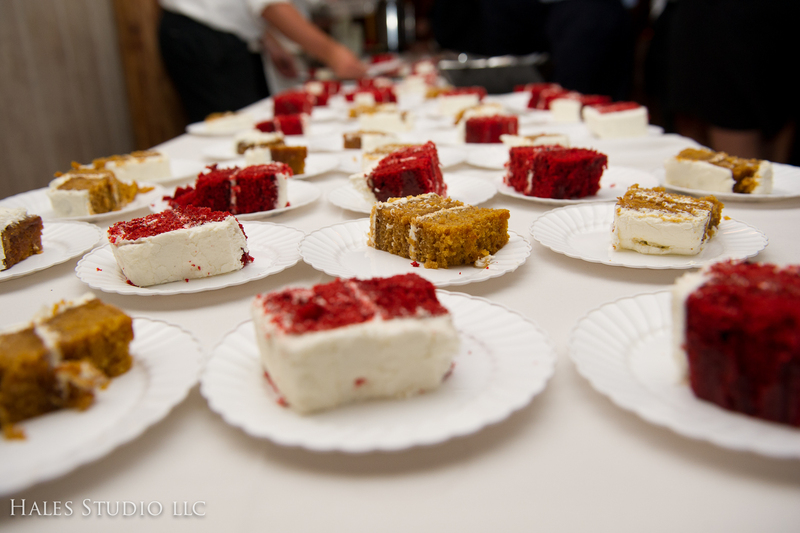 Deb provided a tasting for the couple, which I attended (cake….of course I was there, I even got to take some home). You know her cakes are good when they couldn’t decide which one to select. So they picked two flavors for their guests. Red Velvet with cream cheese frosting and Pumpkin with cream cheese frosting. 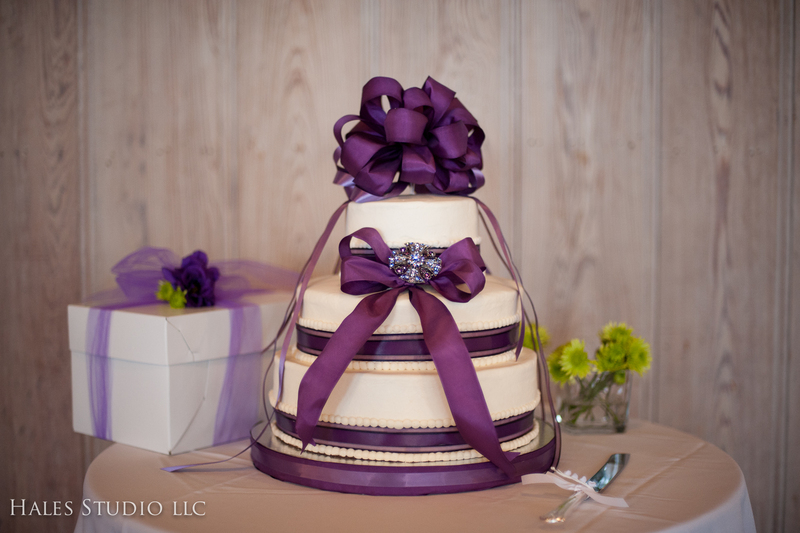 To save in cost, Deb made a 3 tiered cake and some sheet cakes of the two flavors. 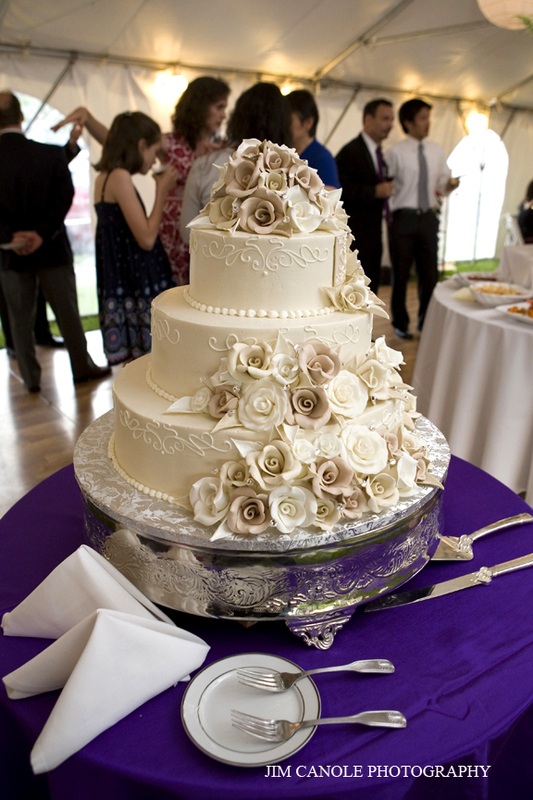 Another cost saving tip is to have desserts or cake at a table rather than delivered to each guest. This will reduce your cake costs by about 20%. Kelly and Ben offered takeout containers for anyone that wanted more cake for the ride home. 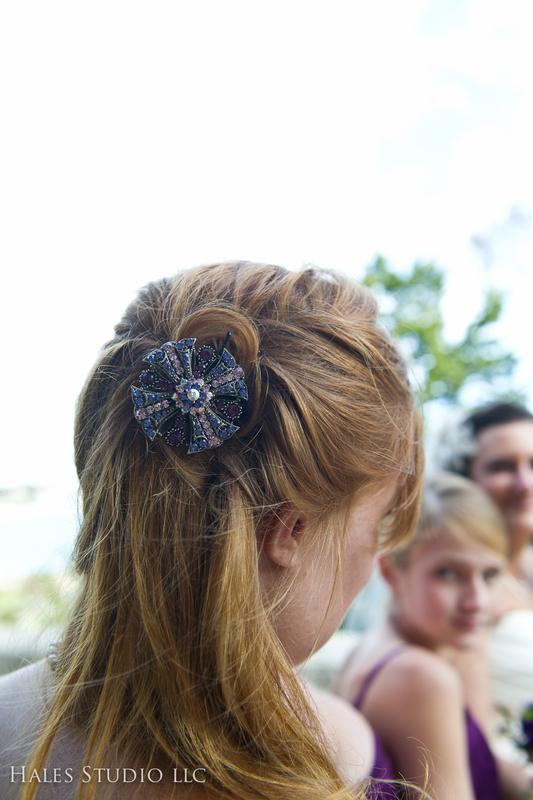 The bridesmaids had the same vintage broach for their hair from etsy. For music, an 80’s cover band. Awesome. Orange Crush knew how to get the party started. From the moment they started playing until last call, the dance floor was packed. 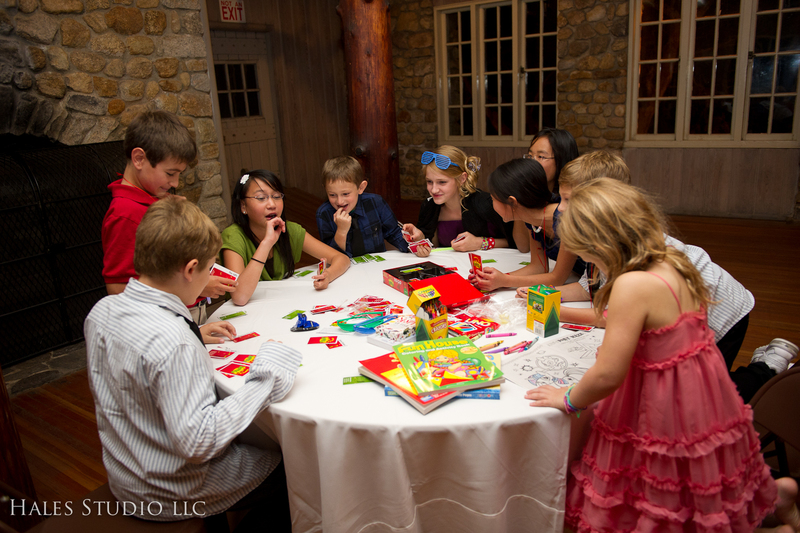 There were a lot of kids at this wedding, so Kelly wanted to make sure they had a space and some activities to enjoy in addition to the dancing, which they enjoyed plenty of. The Pavilion is very long, so even with 250 guests we were able to have the band on one end, tables and a kids activity area at the opposite end. It wasn’t secluded, but offered a spot for them to hang out. Here they are in a pretty intense game of Apples to Apples. 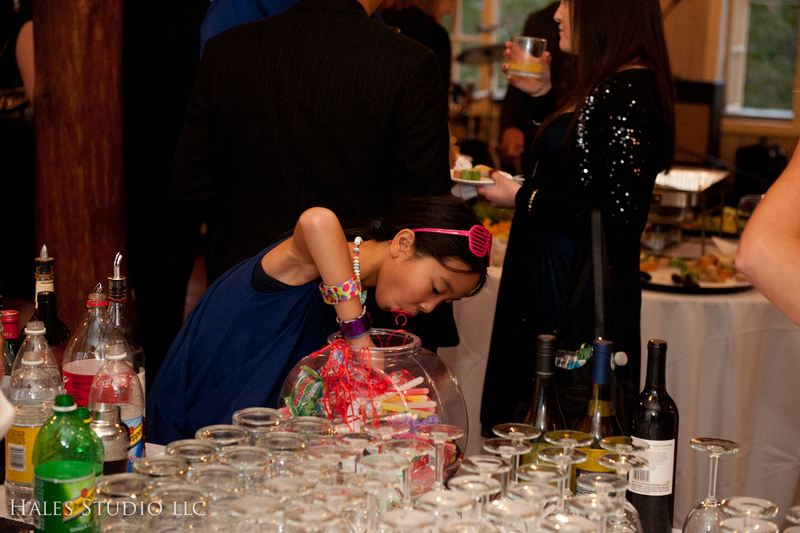 At the bar, there were large bowls with a variety of toys and candy. 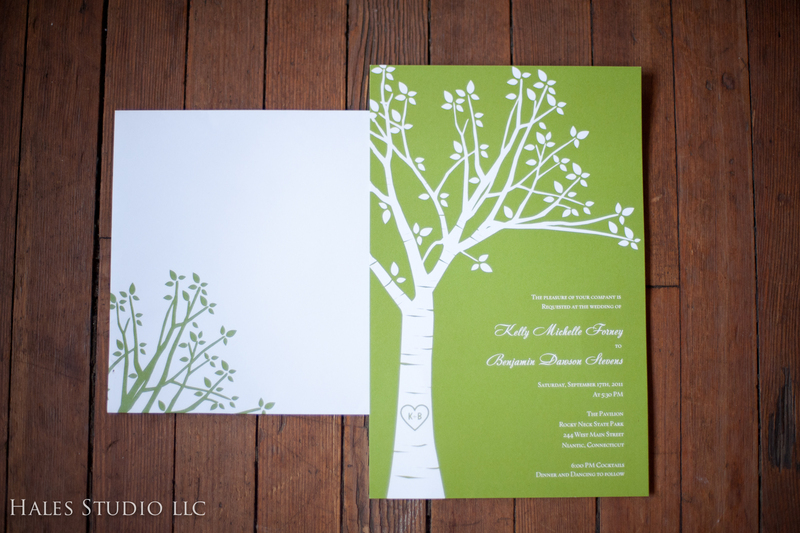 Invites by Vistaprint. 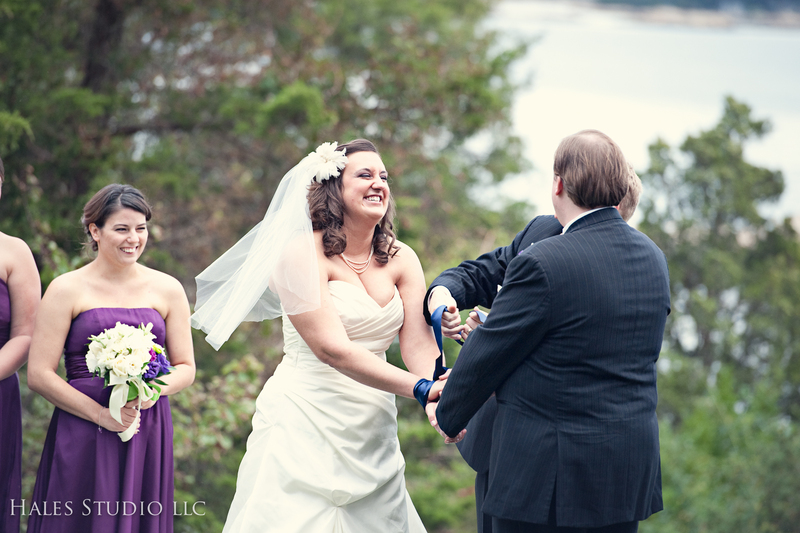 Kelly and Ben referred their guests to their website on theknot.com. More pretty detail pics of the flowers and windows. 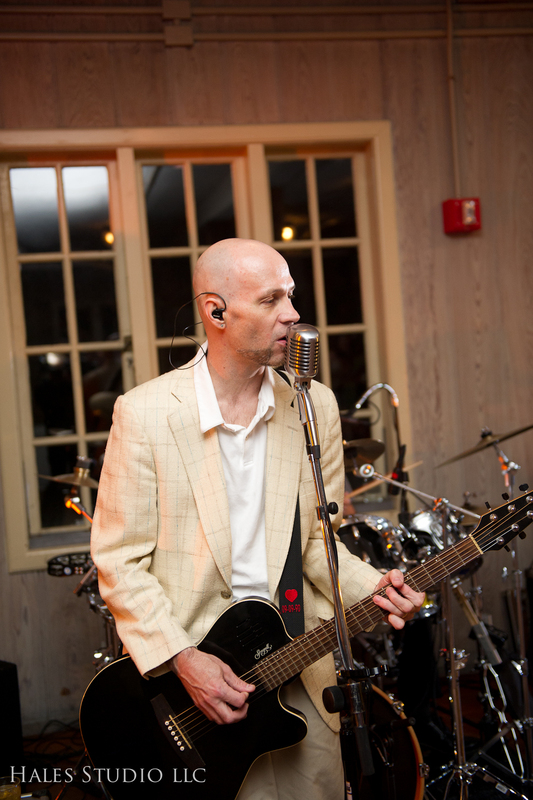 And the winner of the best dressed (aside from the bride and groom of course)……I’m a sucker for seersucker. These are my favorite pictures of the archway. And I will end with some Rocky Neck money shots from Rebecca. 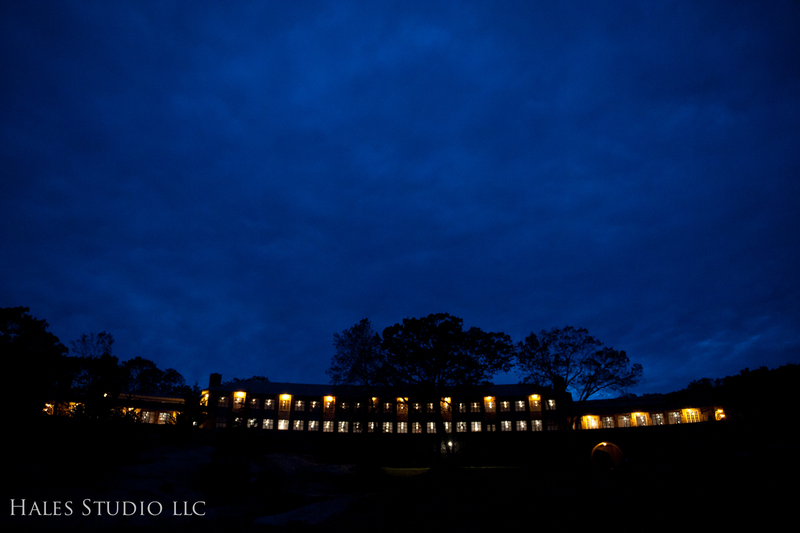 And as the sun set and the music came to an end….there was still more partying to be had. 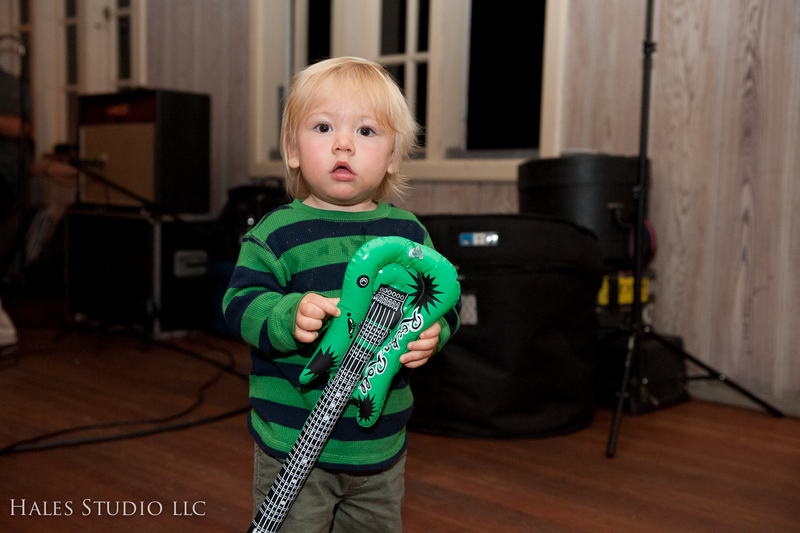 Kelly + Ben invited guests to join them for an after-party down the street at The Black Sheep.